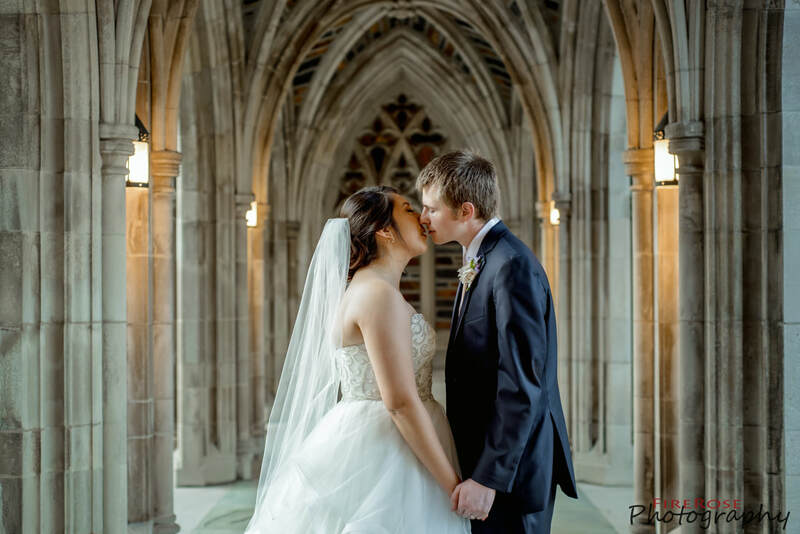 12/29/18: Amanda & Andy: "My photos from our day were all we could have hoped for. Cassie is beyond professional and takes charge when needed. She is super creative and comes up with poses and places to take photos. She also makes you feel like amazing while you take photos which totally helps because I am not usually comfortable getting my picture taken. We loved her and would pick this company over and over. We will be return customers when we decide to start a family, already decided :). 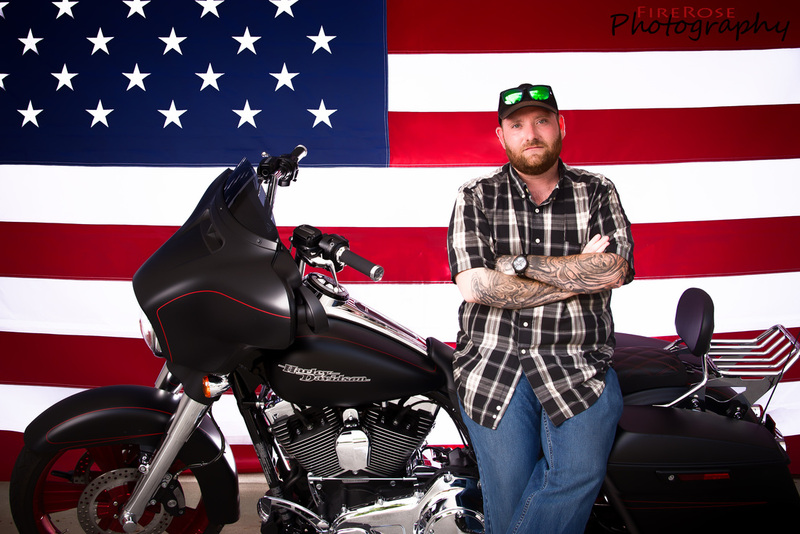 Thank you FireRose Photography!" 12/01/18: Nicki and Zach "Cassie was absolutely amazing! She went above and beyond to get the most beautiful shots of our wedding day. She would position everyone to ensure we looked our best and were in the most flattering angle! She was a blast to work with. 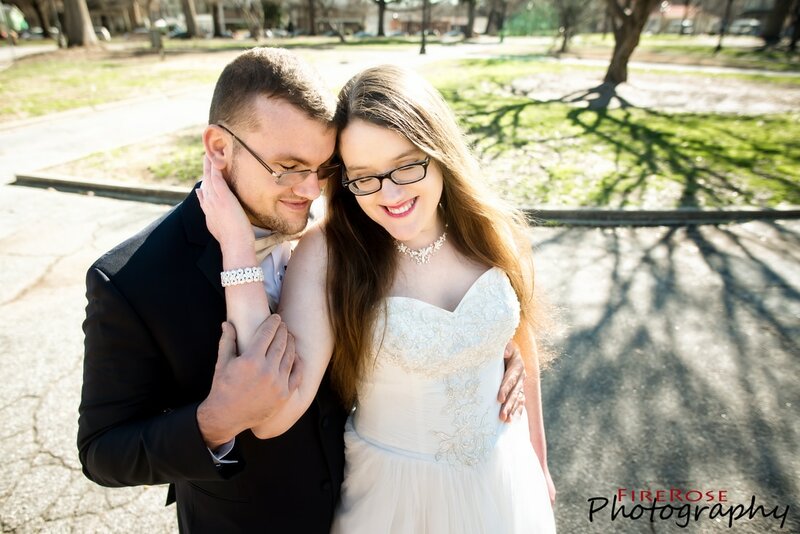 We were so happy with all of our pictures and we would highly recommend her :)"
11/03/18: Jessica & James "Thank you FireRose Photography for making us look good!!! 192 days, but who's counting?" 10/28/18: Nettie and Sean "I tweaked the old saying for my review title because Cassie's work easily surpasses 1,000 words' worth of beauty and detail. 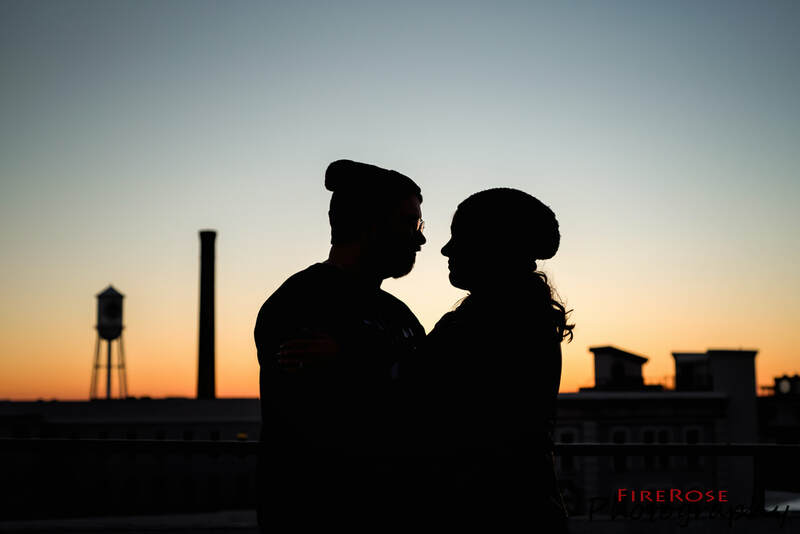 FireRose Photography was hands down our favorite vendor to work with while planning for our wedding. 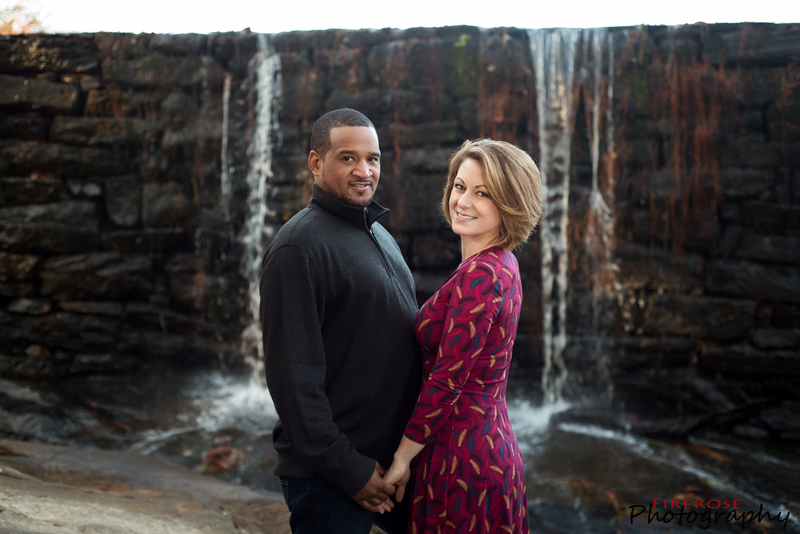 We purchased a package that included an engagement session and wedding day coverage. Cassie was helpful, down to earth, and made us feel right at home during our first consultation meeting a little less than a year before our wedding. She gave great direction to assist in creating beautiful memories. 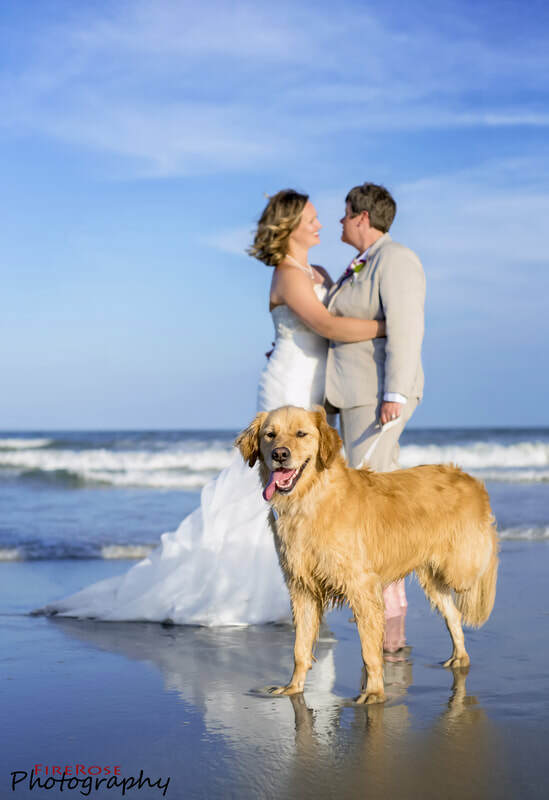 She allowed us to incorporate our dogs into our engagement and wedding photos. 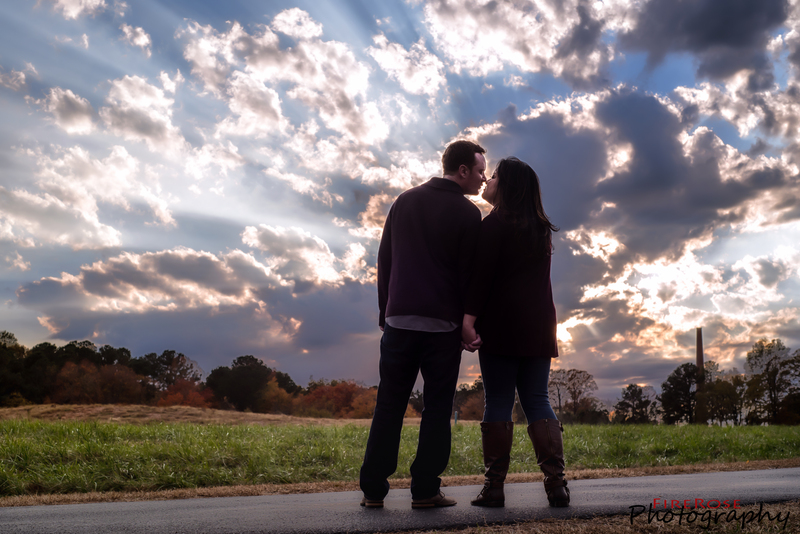 During our engagement session, she stayed after our time with her had ended just to get a few more shots we had initially requested from her. Her price point is more reasonable than other competitors in the area, and her work is comparable, if not superior to other photographers in the region. 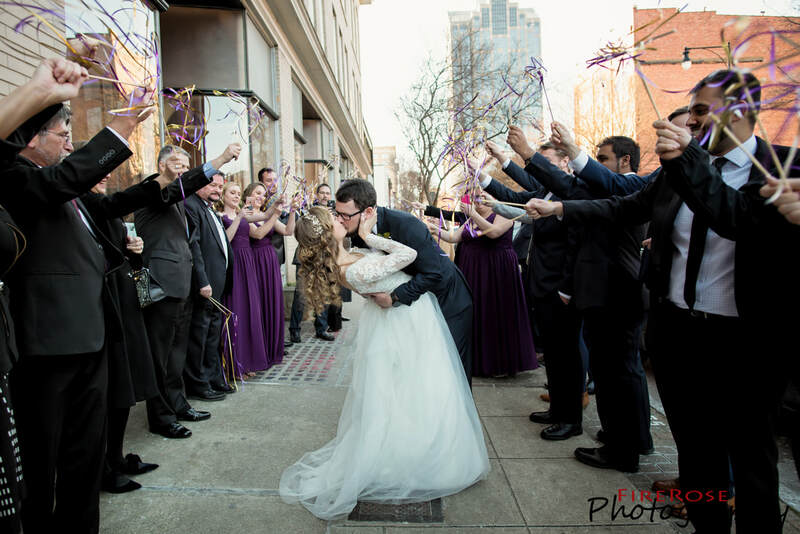 We are so glad to have chosen Cassie and FireRose to document an important milestone in our lives and cannot recommend her enough!" 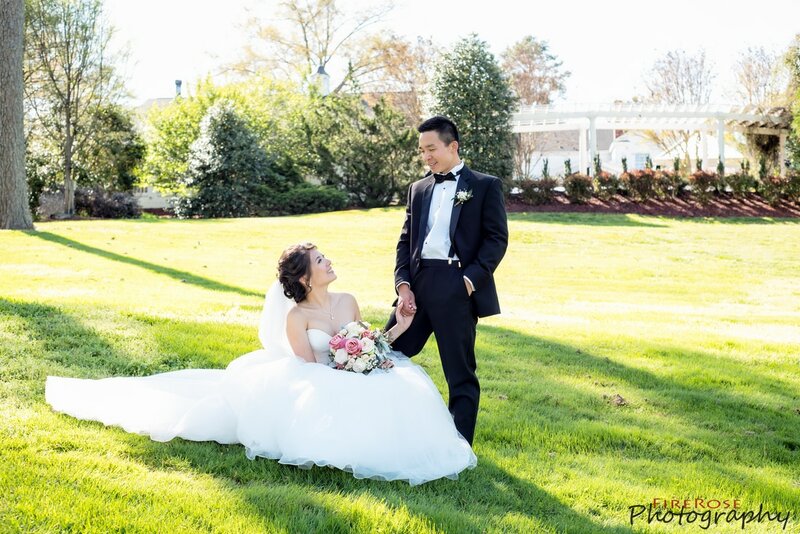 10/27/18: Jian and Bryan "My husband and I are so happy we chose Cassie to take our wedding photos. She is very talented and professional. She also did our engagement shoot and my bridal portrait. Working with her is fun and I like how she gets to know the couple, what they like and their personalities and try to incorporate them in the pictures. We are not really comfortable being in front of the camera but she made things easier. Our photos turned out really beautiful. She captured the tiny details to the best moments of our wedding. She took awesome pictures and sometimes you won't even notice that she's there. I would definitely want to work with her again." 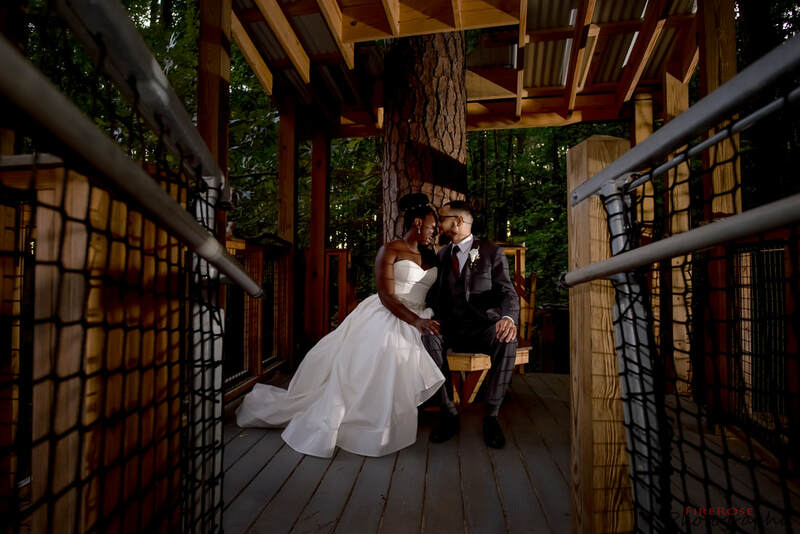 10/13/18: Stephena & Marcus "Oh my gosh, we LOVE love love love the pictures. They are amazing. The dinosaur ones are so funny-we died laughing. My gosh, they are so great and I'm so grateful to you and Ben. You have no idea! Thank you so much!" 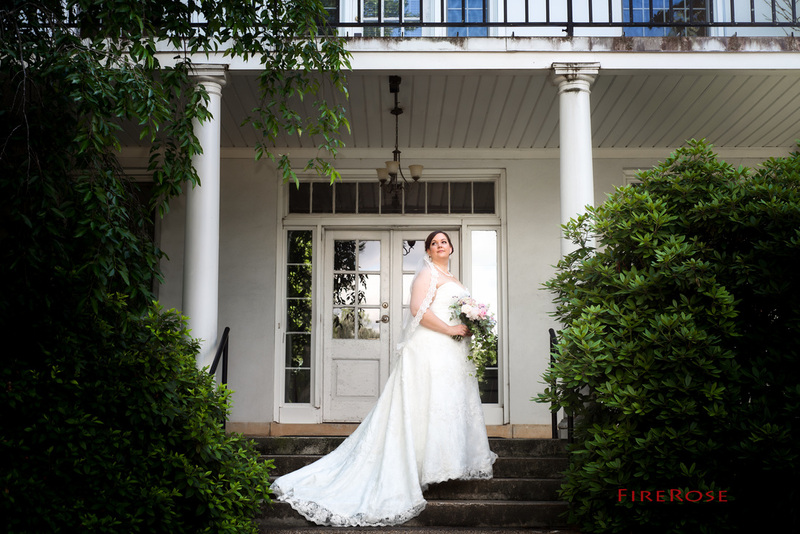 09/29/18: Abby & Clay "I am thrilled to have discovered FireRose Photography. Not only did FR meet my wedding photography budget but they were super organized, professional and very accommodating. I never had to worry about a thing when it came to capturing my wedding moments because FR was on top of it. We worked together to build a custom shot list. We even went through detail by detail the wedding timeline and names of everyone involved. My experience with FR was outstanding and I hope I can work with them again in the future." 09/22/18: Meaghan & Tony "I can’t put into words how amazing Cassie is but I’m going to give it my best shot! Cassie was awesome from the moment we sat down to meet with her. She was really technical in a fascinating way, we liked everything she had to tell us and you could immediately tell she has a passion for wedding photography. Our wedding was perfect and a lot of that goes to having absolutely amazing vendors but Cassie was easily our favorite. She met with us a few times and helped with things she didn’t even need to like planning out our timeline even though we had a day of coordinator. She was extremely responsive and easy to talk to. And even only having met her a few times prior to the wedding she was a very calming, friendly face to see on the big day. All of our guests at the wedding can’t stop raving about her. She was so pleasant to have around on our day and yet authoritative when it came to keeping our timeline or posing for a picture we had said we wanted. She was great at ensuring she got the pictures we wanted, giving us the time we asked for away from photos to enjoy the wedding itself, and taking candid shots. As for the pictures themselves, again, perfect. 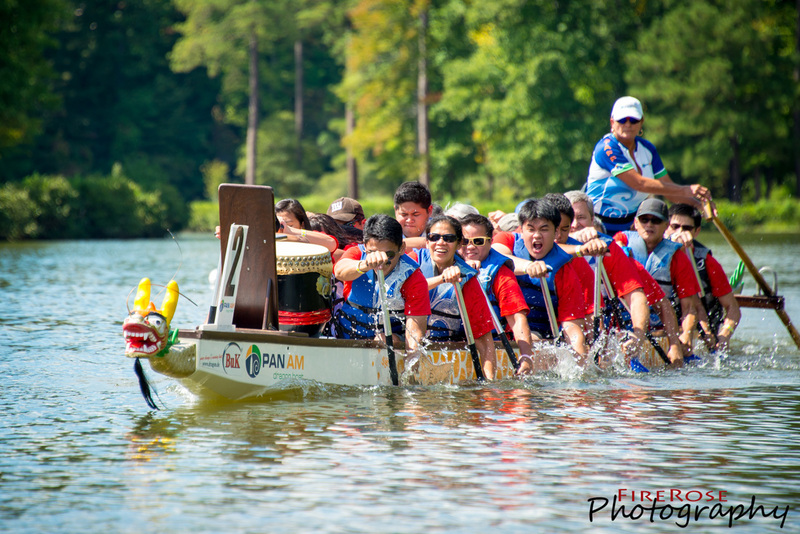 She got some great, clear photographs of our families as well as perfect action shots of all of our events. She also captured all kinds of special moments between us and between the guests that no one ever realized she was around for. I saw another reviewer had called her a ninja and she really is just that! It seemed like she was everywhere at once getting every picture we wanted and those we weren’t around to see ourselves. 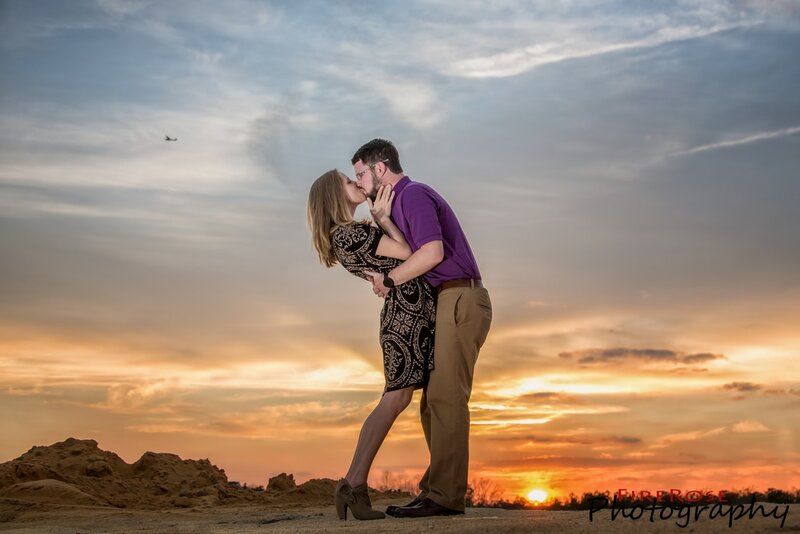 On top of all of that she captured the most spectacular pictures of us at sunset. They are truly pieces of art and it’s crazy to see ourselves in them! So to all of you brides and grooms to be, Cassie is hands down the best choice you can make for your wedding! And to Cassie, thank you so much for helping to make our day so perfect and for all of the stunning photos we have to remember it by!!" 09/08/18: Misti & Charles "Cassandra was absolutely amazing! She was quick and able to give us great direction in finding spaces for us to take our pictures and capturing amazing moments on our special day. 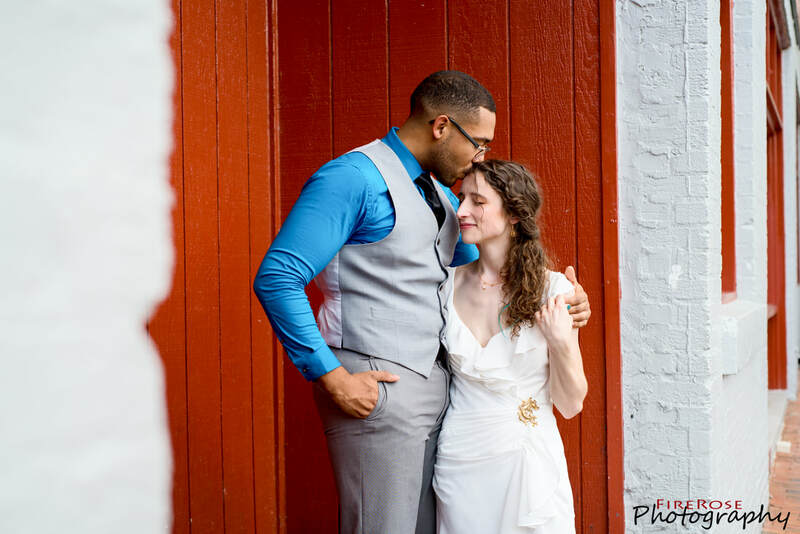 For a couple that was a bit unsure of what to do and how to do it Cassandra lifted our burden and walked us through the process in a calm and affirming way. 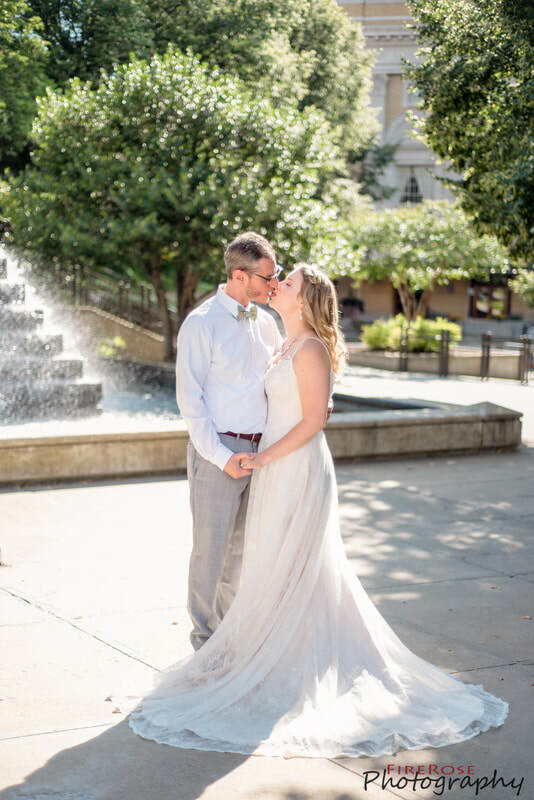 Definitely would recommend her to all to anyone looking for a personal touch and fabulous service "
07/21/18: Amanda & Ed "Cassie was AMAZING to work with! She was very organized and professional. We hit it off right from the start. I was the kind of bride with a multi-tab spreadsheet collecting all the details for every aspect. I'm preparation for our first meeting, she sent her a questionnaire to complete so she could be prepared for our meeting and know what was important to me. She was this detail-oriented throughout the entire event, from engagement pictures to the very last picture of the wedding. 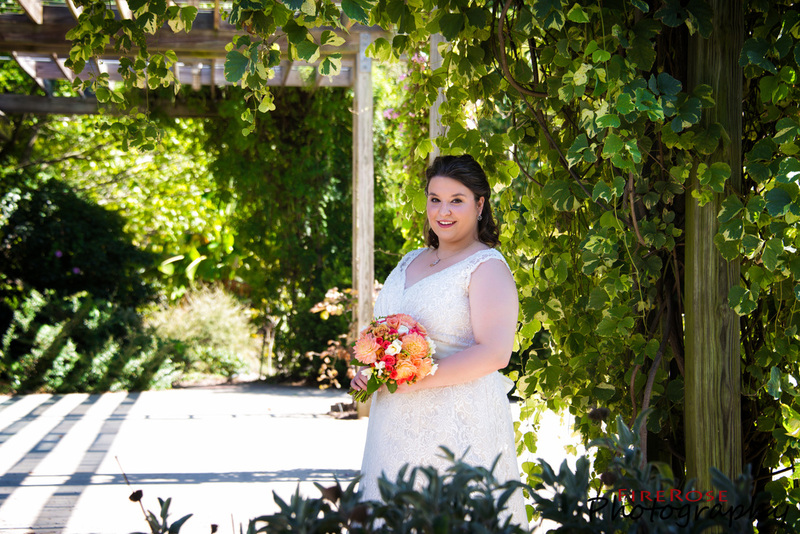 The thing that set Cassie apart from the others is that she walks the space where you will take your wedding pictures a few days before at about the same time of day so she can see where the best natural lighting and angles are. This attention to detail and importance on planning puts her in a league of her own! It ended up raining the day we had planned to take engagement photos and we were in contact the entire day to decide whether we were going to call it and reschedule. This put me at ease that we were in good hands with someone who wanted to make sure we got the pictures we were hoping for. She arrived early on the wedding day ready to shoot - and o boy - she shot from that point forward! 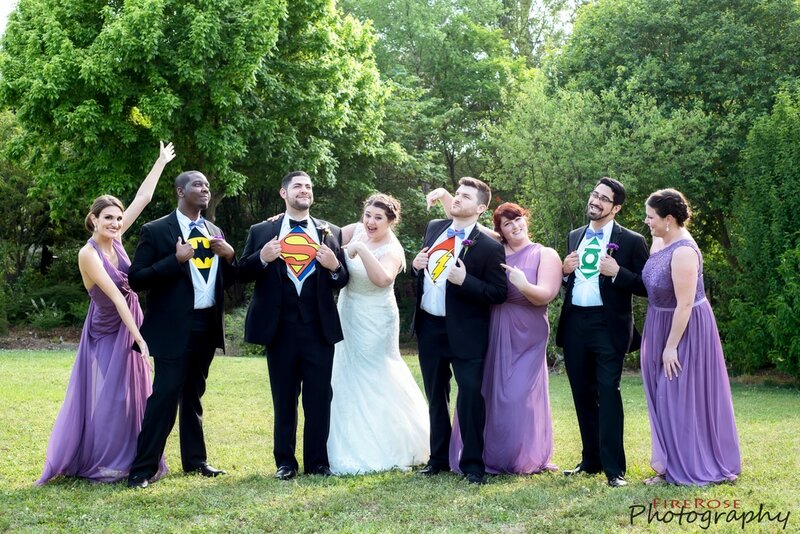 We received over 1000 perfectly edited pictures that I'm so excited about. Each one captures a moment and a memory that we will treasure forever. We opted to not have a videographer and people warned me that we would potentially miss out on capturing the moments without a video. Thanks to Cassie and her magic, I'm confident that we aren't missing out on a video. Can't thank Cassie enough for her passion, her vision, and great photography skills!" 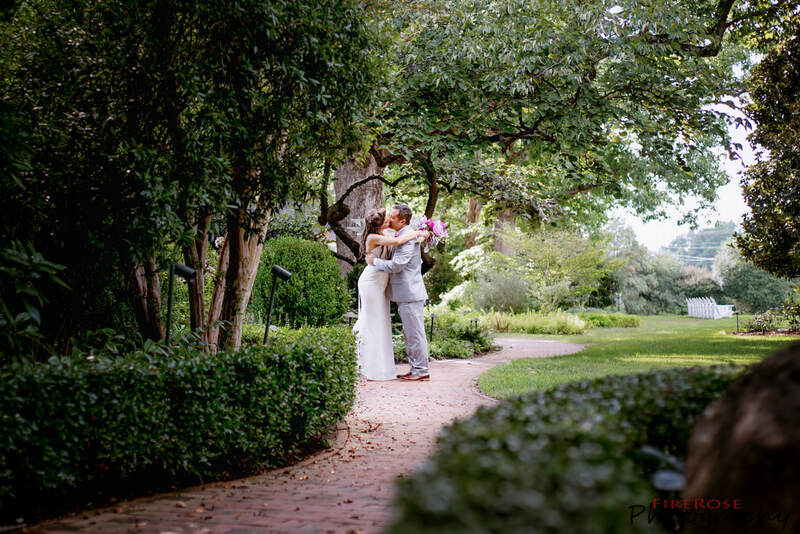 06/24/18: Kait and Zac "Cassie, I can not speak more highly of you, your professionalism, creativity and artistry! 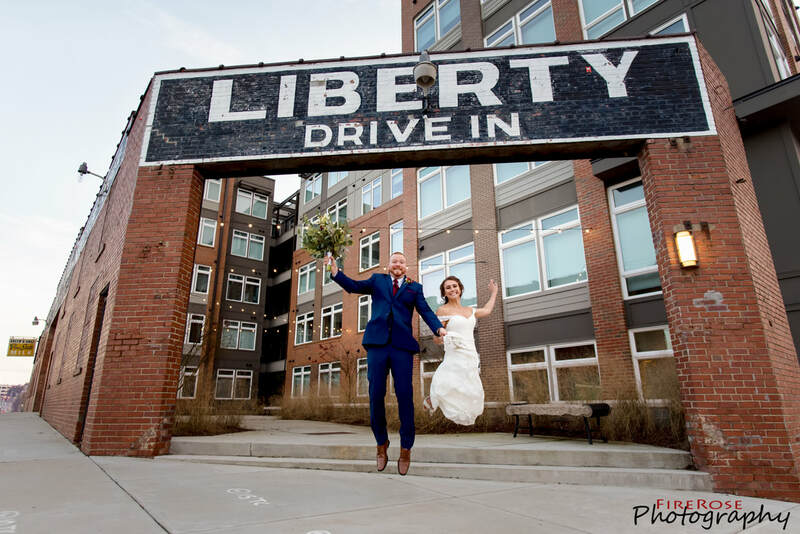 You took both our engagement photos and wedding photos, and not only made the experience fun and memorable, but also delivered beautiful and artistic photography that perfectly captured our style and personalities. I had no worries whatsoever knowing that you were at the helm of capturing our special day forever! As I've said before and truly stand by, you, your work, and your attitude are of the highest caliber. My husband and I could not speak more highly of you!" 06/02/18: Laura and Renee "Cassie and Ben are amazing! They were able to get every shot we imagined for our beach wedding! We made a couple last minute changes and they rolled with it, no problem! Cassie truly is a ninja and somehow manages to be everywhere at the same time! My wife and I would recommend her to anyone!" 05/19/18: Xiu & Marshall "My wife and I were HUGE fans of Cassandra. She was very professional, extremely professional and her photos were exquisite. Strongly recommend." 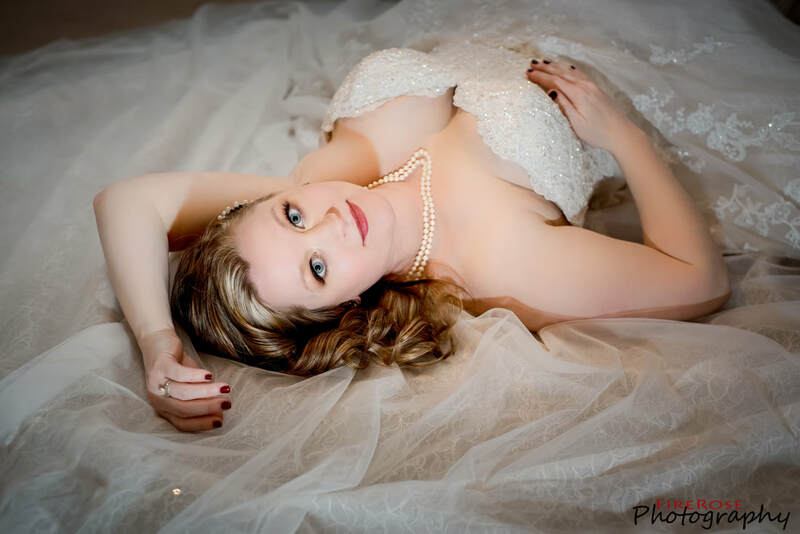 Samantha's Bridals "OMG, such amazing shots! 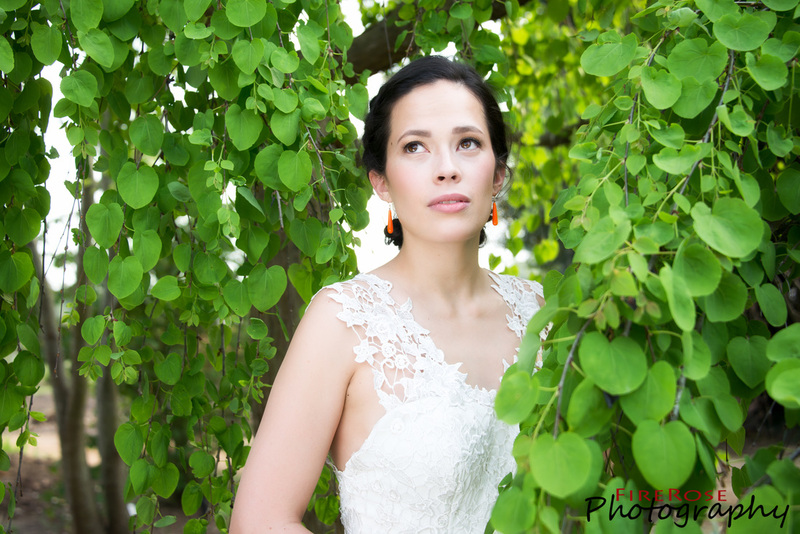 If you are looking for an amazing photographer, look no further!! Cassandra is your girl! 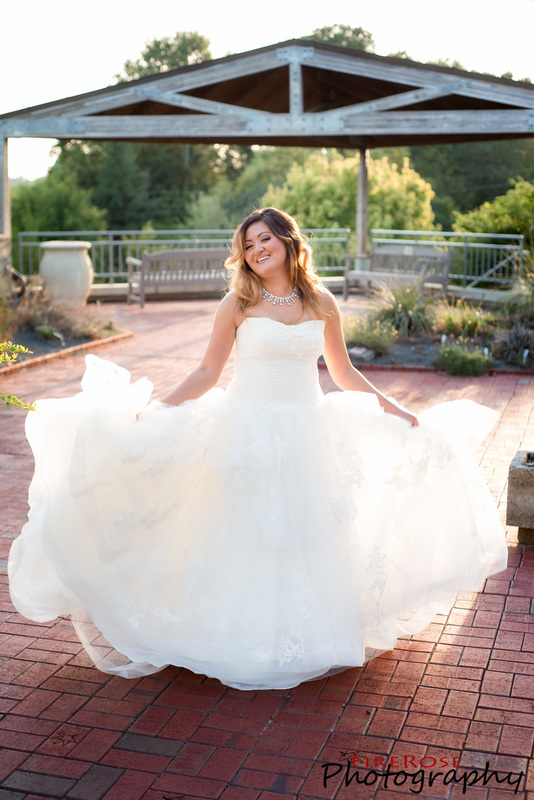 She has been with us every step of the way from engagements, bridals, boudoirs, and finally wedding. There is no one better and you’ll be better for knowing her!" 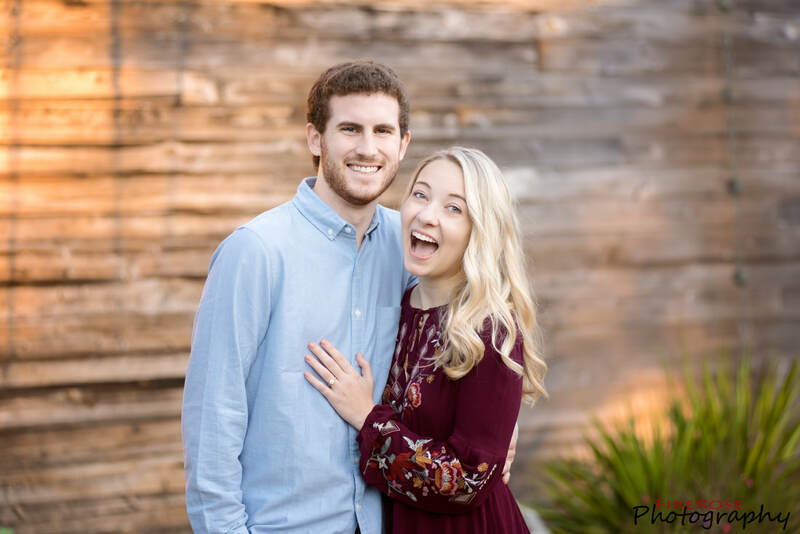 05/17/18: Amber & Chris "Cassie was the best! 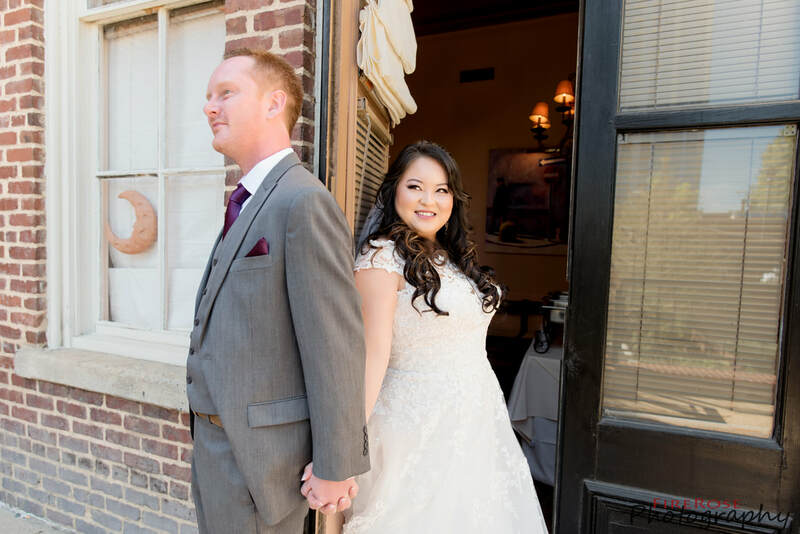 She was able to accommodate us last minute during wedding season when our previous photographer had to cancel our contract, and we are so thankful to have had the opportunity to work with her! The quality of the photos was outstanding, we got all of the shots we wanted plus some. Im not particularly photogenic but Cassie was able to get me and my bridesmaids into the right headspace to take amazing portraits. 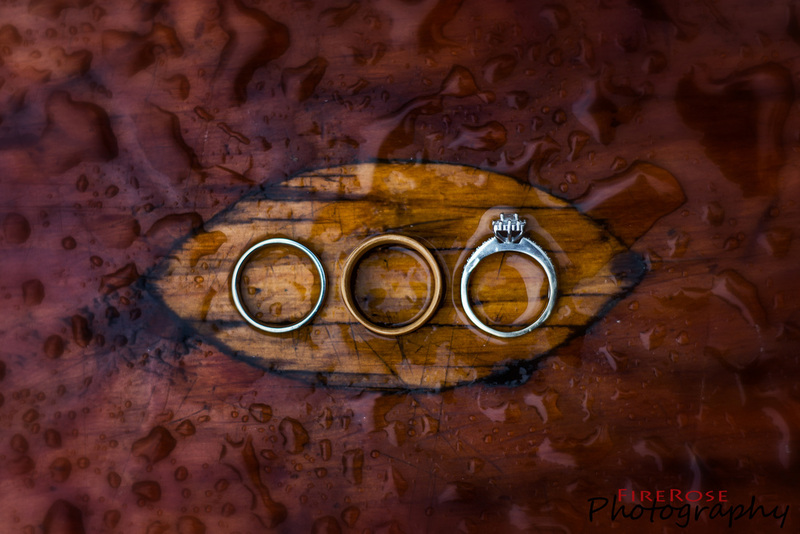 Would absolutely recommend FireRose to anyone looking for a quality, affordable photographer." 05/05/18: Liz &Kyle "Cassie was great. She was really easy to work with and very organized. She clearly has significant experience doing weddings and kept everything moving along. She even got our ring bearer (3 years old), who was feeling very shy, to smile for photos - it was like magic. 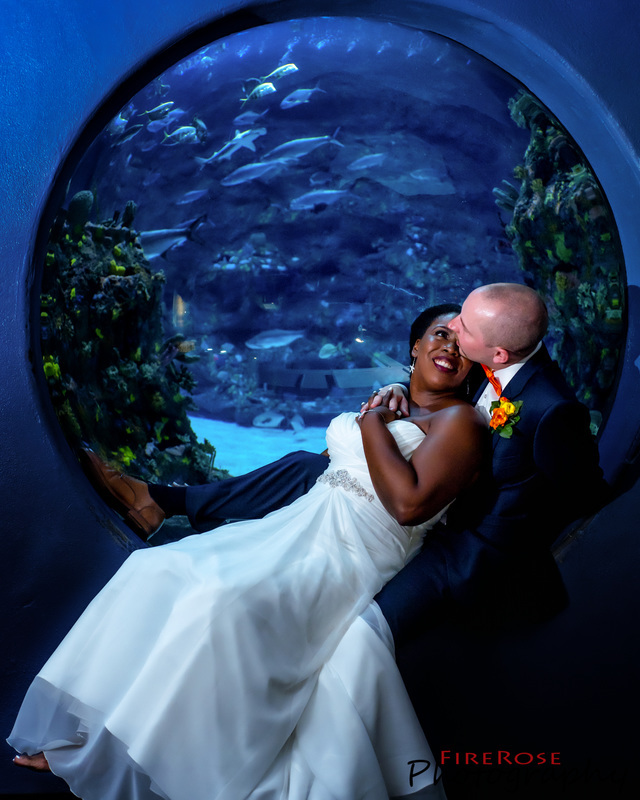 If you are looking for a really positive and organized photographer who will make your wedding day feel stress free I think cassie is a great choice." 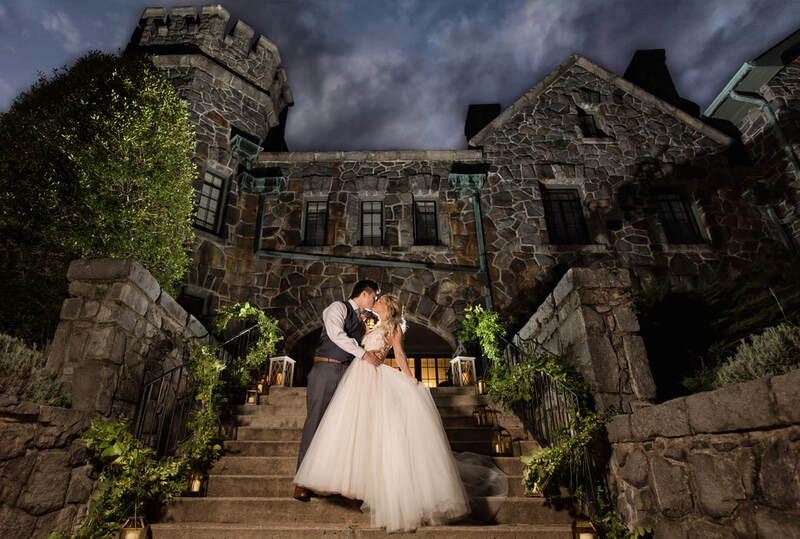 04/28/18: Samantha & Brian "Cassie is an amazing photographer! She did our engagement, my bridal, boudoir, and she travelled for our wedding in Georgia! Her pictures are gorgeous and truly captured the emotions and moments. She so personable and even with a curvy girl like me, captured so many photos I will cherish my whole life!" 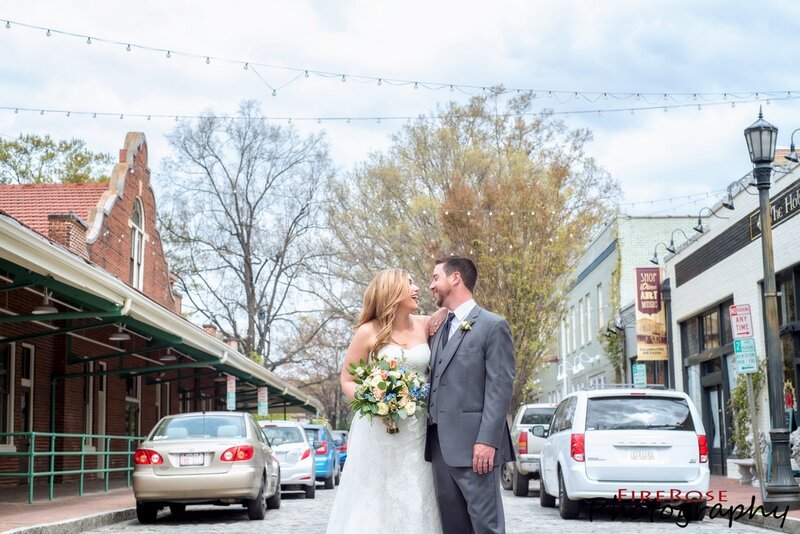 04/07/18: Kristin & Logan "My now-husband and I are very happy with the services that Cassie provided for our April 2018 wedding. She is an excellent photographer and her prices were much more reasonable than other photographers that we priced out. Cassie responded very quickly to all of my emails and was very personable in her responses. 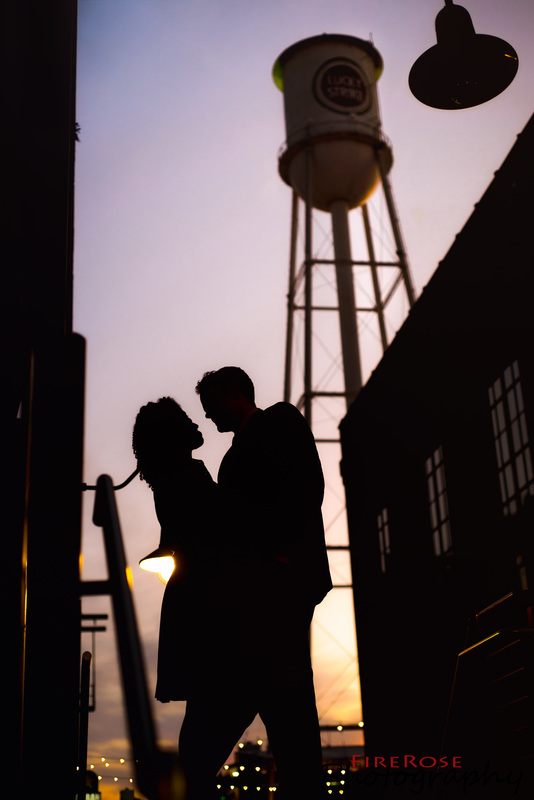 We met with her face-to-face twice prior to the wedding - once when we were deciding on a photographer at the beginning of the engagement and then again five days before the wedding to go over last minute details. 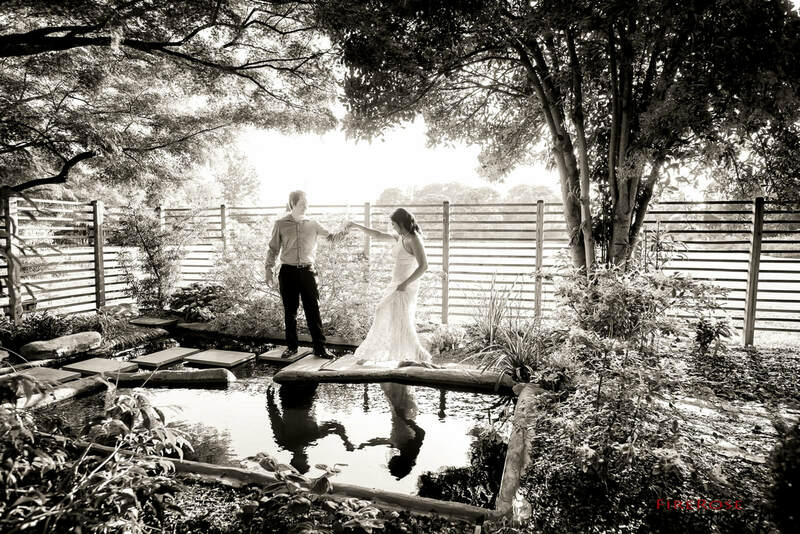 She helped me develop my timeline for the day and was flexible with shooting before and after the wedding. She was great with my 3 year niece and nephew and was able to get good pictures of them! The quality of the pictures were great and the quantity was outstanding (over 1000!). 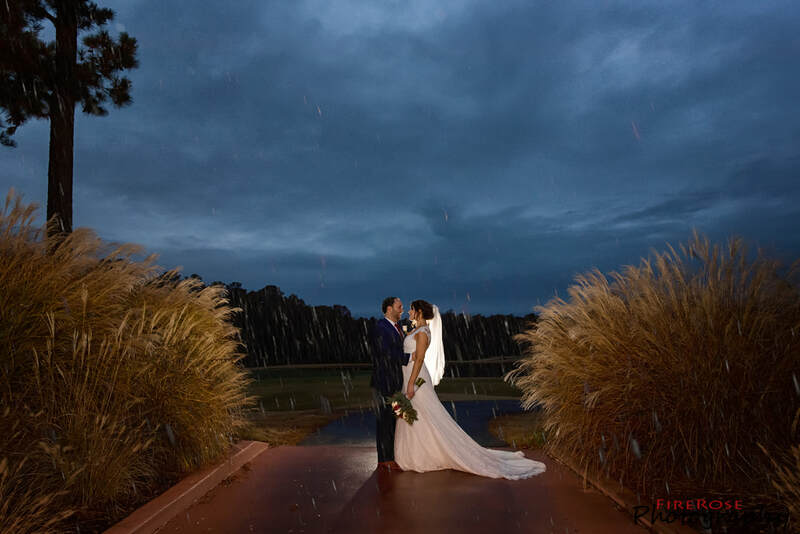 It rained on our wedding day, but Cassie made sure we had great pictures and was flexible with changing locations to accommodate the weather. There were some pictures where we were under an overhang and she was out in the rain! We were very pleased with the services provided and would absolutely recommend her for further photography needs." 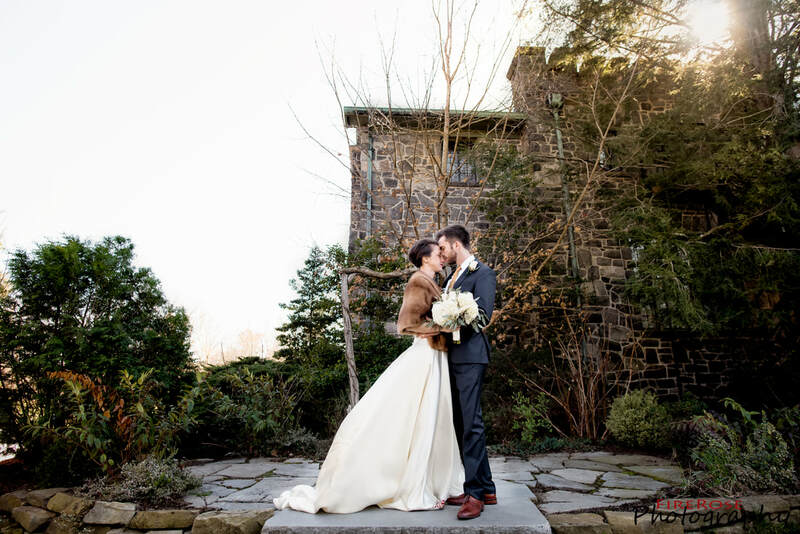 03/17/18: Natalie & Jeff "Cassie was incredible. I cannot recommend a photographer more highly. She worked very hard, made us all look great, and was extremely responsive and accommodating. She pre-visited the venues, worked with us to make sure she got the shots which were important to us, and made the day-of experience more calm (which is saying a lot!). She had a great way of bringing out the best in people she shot, even those who didn't think they were photogenic. 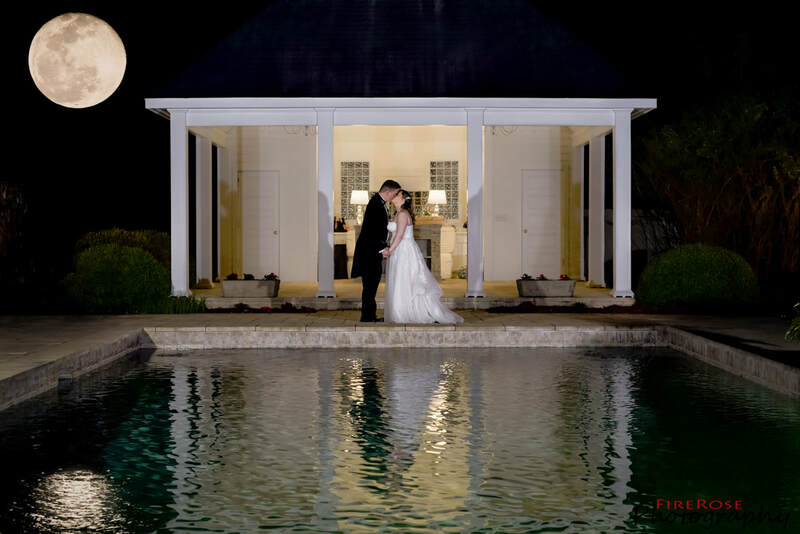 I encourage any brides and grooms to meet with Cassie and see for yourself!" 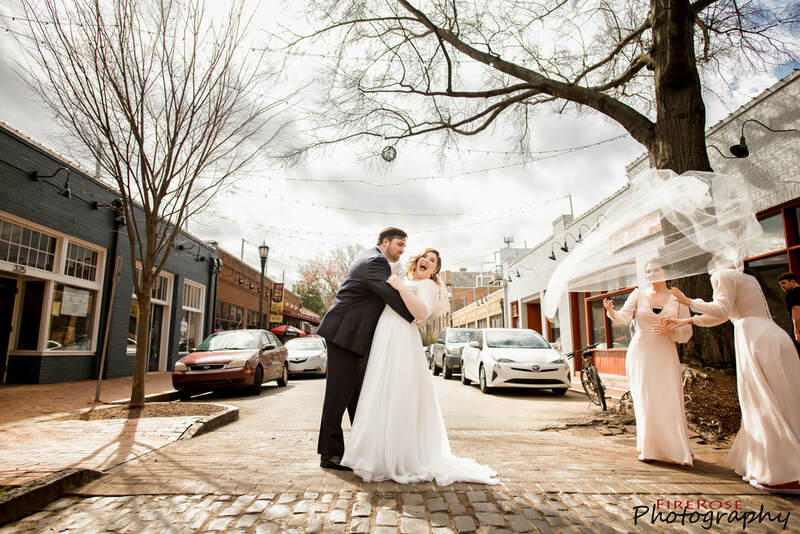 03/03/18: Katie & Noah "We are so pleased with our choice to have Cassie document our wedding. She ended up taking and sending us over 900 gorgeous photos of our wedding day in addition to many photos from a bridal portrait session. She was professional, energetic, and had great ideas for locations and poses for photos. She used lots of off-camera flash to give us illuminated photos for our evening indoor wedding. Everyone has been so impressed with the colors and vibrancy of the photos. We can't recommend Cassie enough!" 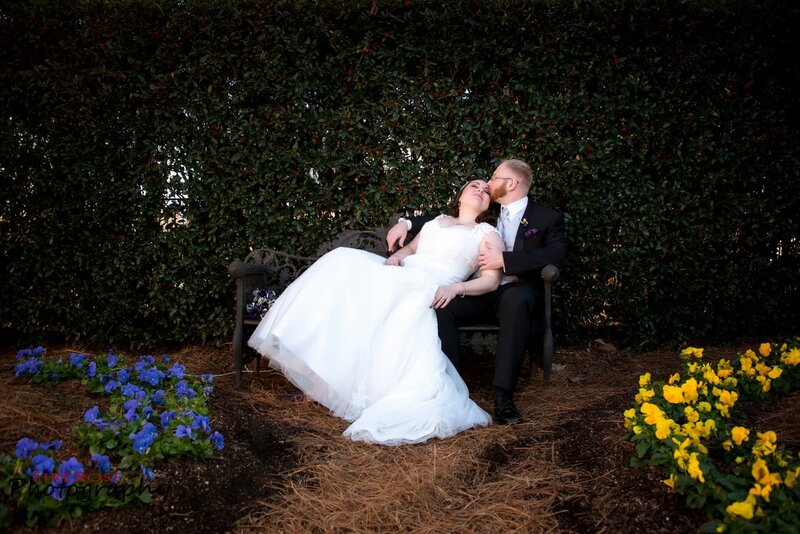 02/24/18: Jessica & Zane "Loved everything about the service you provided. Top notch. " "Marianne said... If you are reading this and looking for a wedding photographer look no further. Cassandra is incredible, talented, professional and delivered everything and more than we’d hoped. We have three daughters married in the last 8 months and we all agreed FireRose Photography/Cassandra was the best. We live in Ohio and were planning an out of town wedding in Raleigh. Our venue recommended her so I checked WeddingWire and was impressed with her ratings and reviews. Cassandra made everything very easy every step of the way. She returned messages promptly and professionally. The day of the wedding Cassandra was a pleasure to work with, punctual, organized, calm, patient, very creative and efficient. We absolutely love our photos, they perfectly captured the atmosphere of wedding day and the love and joy between bride and groom. I highly recommend this excellent photographer." 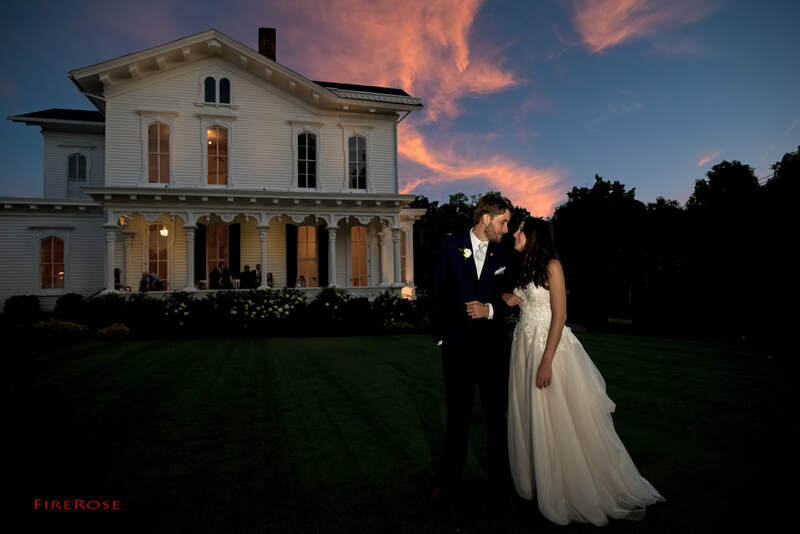 January 2018 Kait & Zac: "What an incredible photographer!! 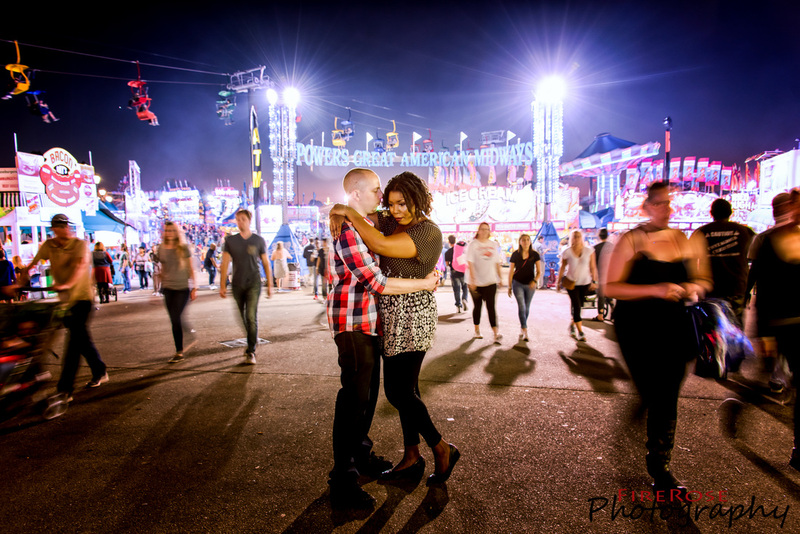 You captured my son and his fiance and their personalities in these gorgeous pictures!! I love them all!! I love your unique style." "Emily, I agree! How lucky could two moms get?! Absolutely stunning photography! I love how she captured every special moment." 01/06/18 Joy and Thad: "Joy said... Working with Cassie was amazing. She was such a pleasure to work with and was a huge help making the day run smoothly. All of our guests talked about the amazing photographer, all the awesome moments she caught,and how efficient and professional she was. I would recommend her to any one looking for a wedding photographer." "Thad said... Working with Cassie was amazing! She did so much for my wife and I on our special day. Our pictures turned out amazing! Even on a time crunch and having to deal with the cold of winter. We were very blessed to have her creativity and keen eye out there with us on our day. Thanks so much Cassie!" HAPPIEST HOLIDAYS 2017 from my family to yours!! 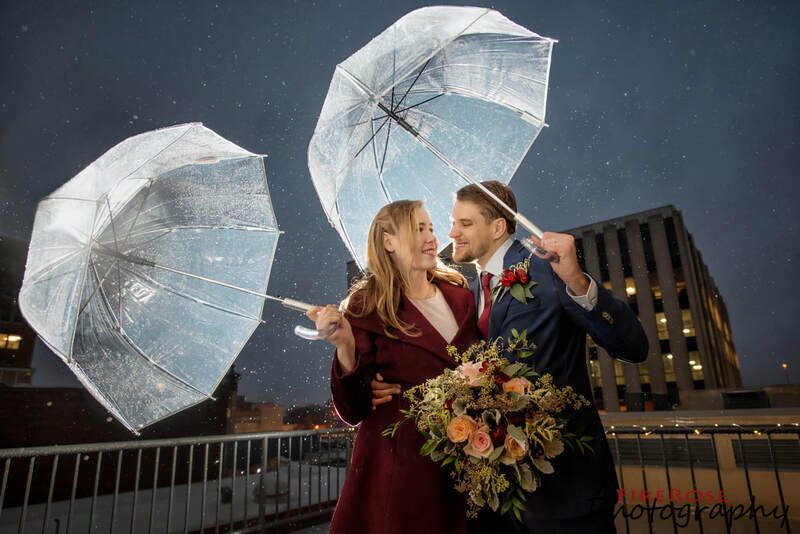 December 2017 Rachel and Koen @ The Glass Box Raleigh "Rachel said... Cassie was wonderful and so professional. Most importantly, we were beyond thrilled with our wedding photos. Cassie is so gifted at playing with light in her photos. The photos are stunning. Cassie is also great at taking the photos quickly and corralling the bride and groom and their families. This helped us to relax and enjoy the moment. She was also affordable and worth your investment. I am so happy we worked with Cassie." 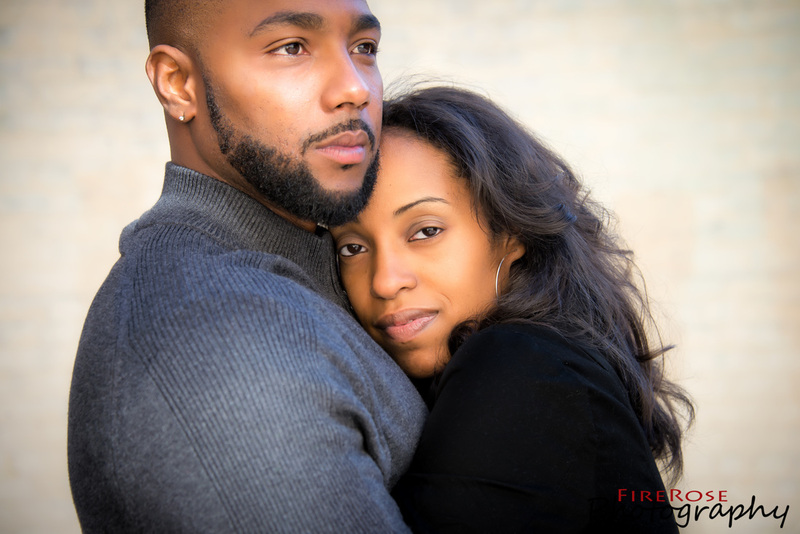 November 2017: Misti & Charles Engagement "There are no words! FireRose Photography you are amazing!!!" 11/11/17 Jenna & MJ: "Jenna said... 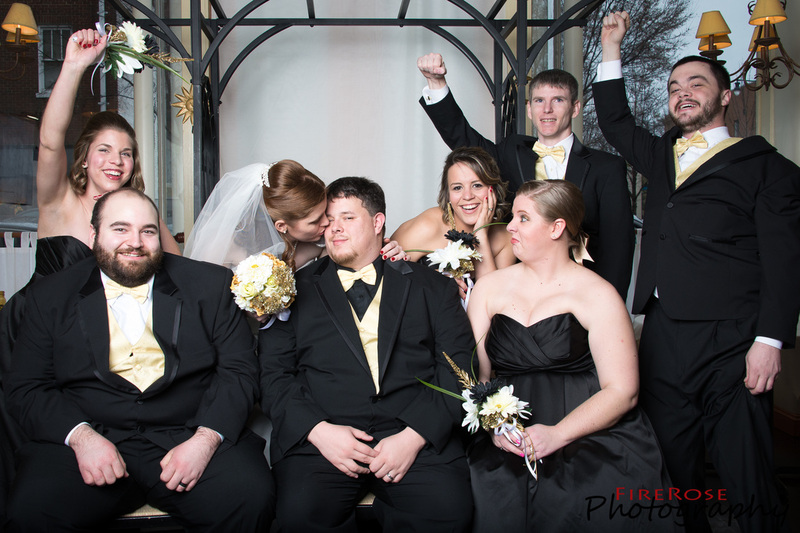 Hiring FireRose Photography was one of the best decisions we made for our wedding! Cassie was extremely professional and helpful throughout the entire process. She was very patient with all of our questions during our interview meeting, and she helped us think about what pictures were most important to us and how those should influence the structure of our day. She never made me feel dumb or bothersome when I asked questions that seemed silly or obvious. After we hired her, she sent us tips for the day, and made sure to get as much information as she could about our venue, schedule, and what was most important to us. About a week before the wedding she scheduled a phone meeting to make sure she had all the information she needed to be completely prepared ahead of time, which I greatly appreciated. On the day of she went above and beyond. She came early to setup and began snapping pictures right away. She was fast and efficient without making us feel rushed. She was confident and instructive without coming across as bossy. Most importantly she listened to what we wanted and made it happen, and when I didn't know quite what I wanted she provided excellent suggestions. When I asked to change a pose, she rolled with it without hesitation. 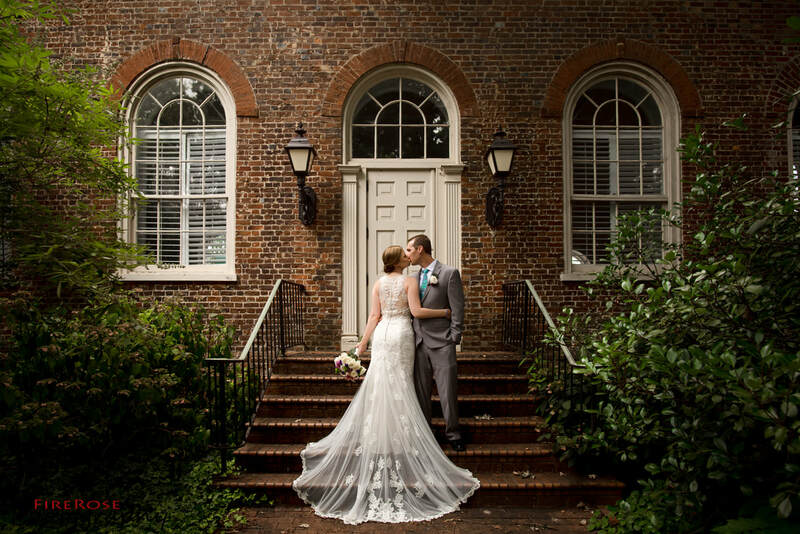 The best part is that Cassie gave us absolutely beautiful photos of our wedding day that we will cherish forever! You can tell she really cares about giving you a great product, and she has an attention to detail that every bride will appreciate. 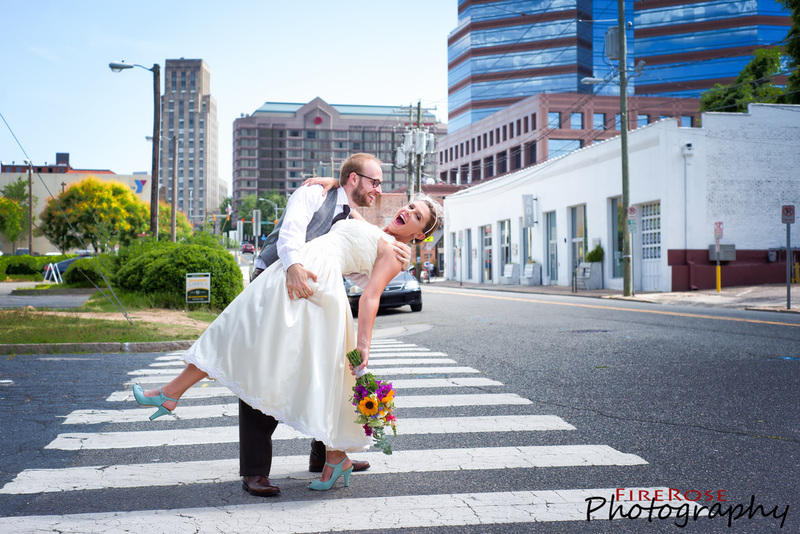 We are so very happy with our decision to hire FireRose Photography!" 10/07/17 Mary-Kate & Jared: "Mary-Kate said... Did an amazing job despite the constant rain for a completely outdoor wedding!" 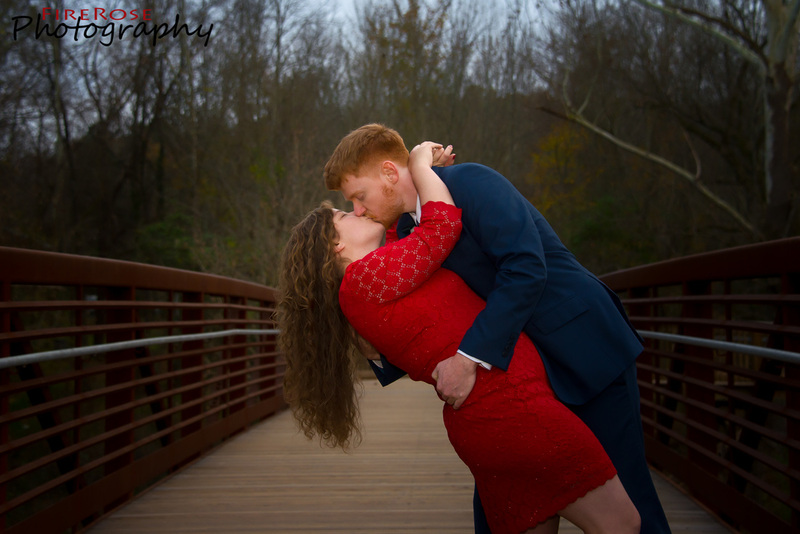 09/16/17: Christina & Brian "Christina said... Cassie did our engagement pics and our wedding photos. We could not have been happier with the results! From our first meeting, Cassie was prepared, informative, educational and collaborative. When we were lost on how to move forward, Cassie helped us organize and prioritize our shot list. 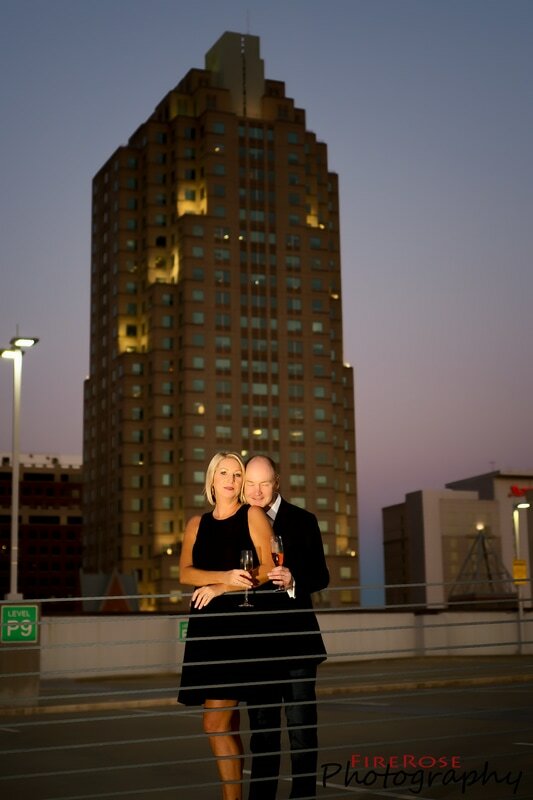 She rocked our e-pics getting great shots in a frenetic 4 location sprint around Raleigh (Rose Garden, Boylan Bridge, and a phenomenal sunset parking deck) with our 70 lb Labrador retriever. Cassie made us feel comfortable and look amazing in the pics. For the day of, Cassie worked with us on the day's schedule as the timing of salon and arrivals shifted. 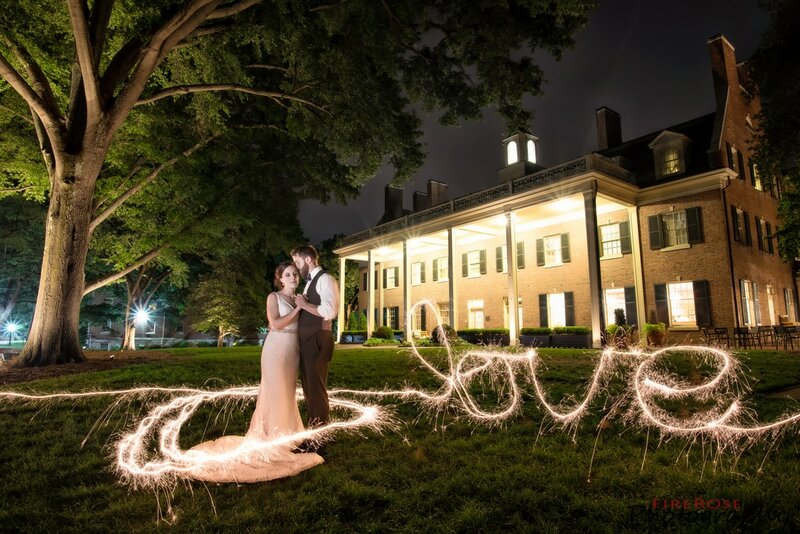 We have wonderful pictures from that day - prepping, getting dressed, amazing first look, sparkler send-off and an awesome group pic. 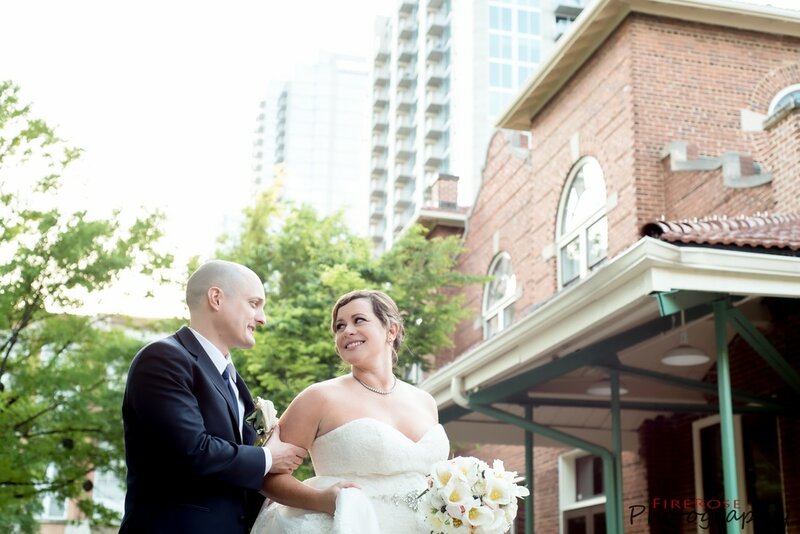 Sitti was a great venue and Cassie captured our day perfectly." 09/03/17: Hannah & Matt "Hannah said... Cassie is the best photographer you'll find. Not only is she affordable, her work is just amazing. 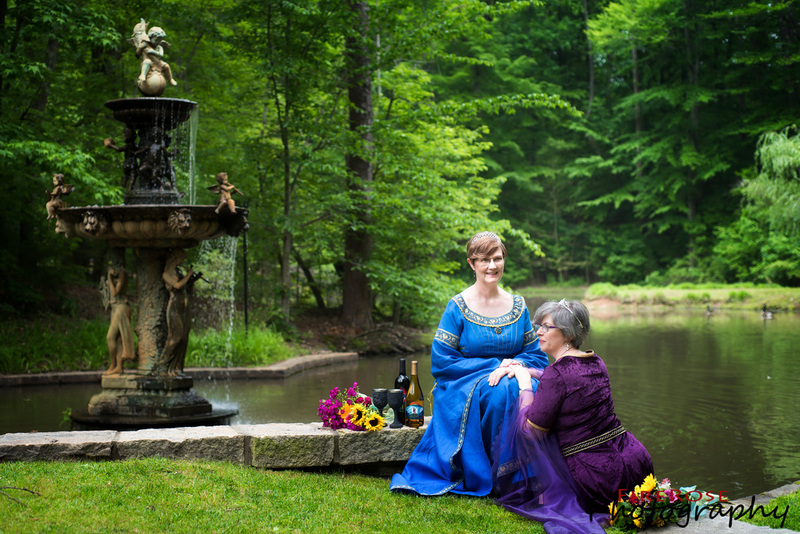 Cassie did our engagement photos at the NC Art Museum. The photos are breathtaking. She's so passionate and energetic, she took over 200 photos in 2 hours and she edits them ALL! Our wedding photos I haven't seen yet, but we can't wait to see them! Cassie is organized (helps you stay organized too), professional, and really "ninja" like lol I don't even remember seeing her during the ceremony, but I know she was out there taking beautiful photos. All of our guests raved about her and how "she was everywhere!" We didn't have a wedding planner. Cassie communicated with our DJ, reverend, and wedding coordinator to make sure everything went smoothly. She cares and it really shows in her work. Thank you so much Cassie. You're the best!!!" 08/27/17: Lauren & Mark "Cassie was the absolute best! She was so easy and fun to work with and she is incredibly talented. She had lots of ideas for creative shots and the pictures turned out amazing. She got the pictures back to us in only 3 weeks and we were so happy with the results! Would love to work with her again - highly recommend." 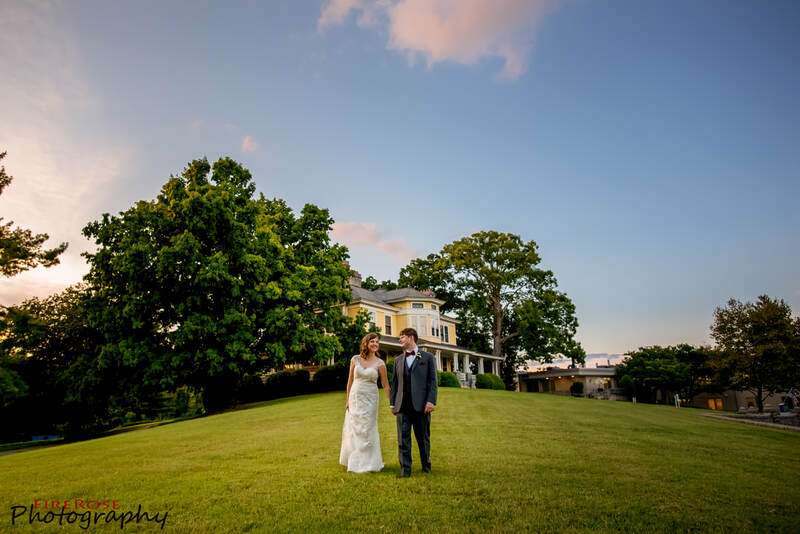 08/19/17: Jennifer & Bill "Jennifer said... Cassie is the best wedding photographer I could have imaged. She was perfect in every single way. I loved all my photos! Unless you plan to pay 5 times the amount you will not find a photographer anywhere close as good as Cassie. She should be a shooting for celebrities with the amount of talent she brings to the table. She is very flexible, and will do whatever it takes to make sure you love your pictures. She has a great personally and is wonderful to work with. 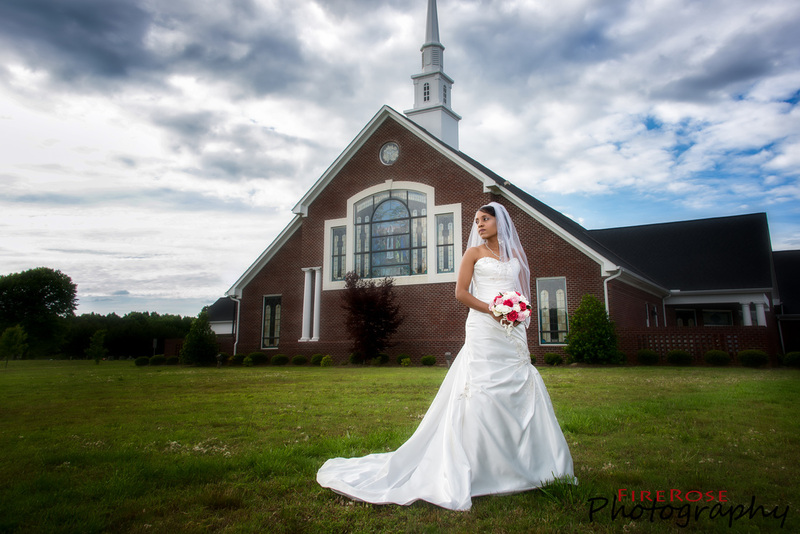 If you are looking for a photographer I would recommend stop searching and book with Cassie." 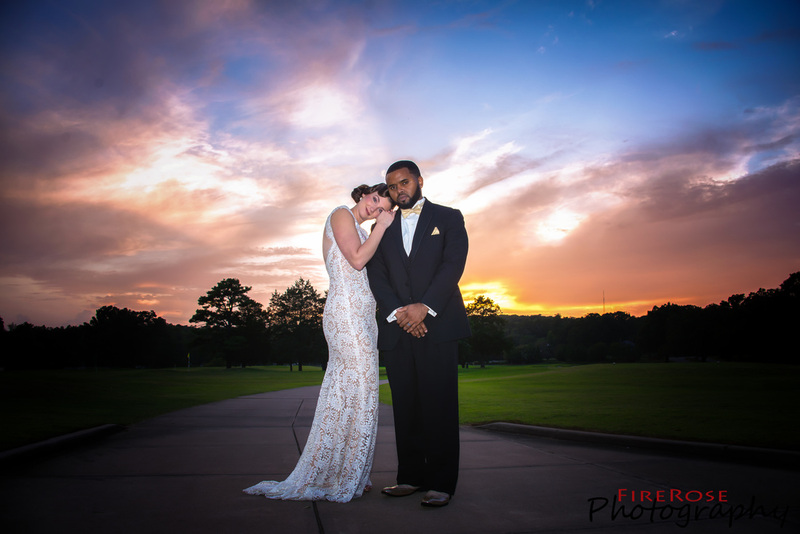 08/12/17: Jen & Mark "Jennifer said... FireRose Photography did an excellent job with our wedding. We only had three months to plan, and Cassie was amazing with helping us put together our vision. With many out of town guests and a separate ceremony and reception venue, she seamlessly put together a plan for our day. 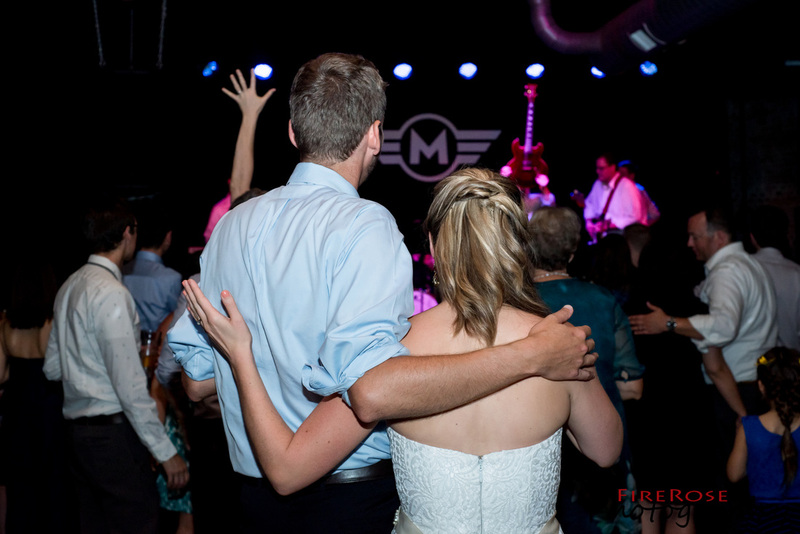 Her assistant even helped step in when our band and venue didn't perform the introduction announcements as planned, and announced the wedding party for us, which we greatly appreciated." 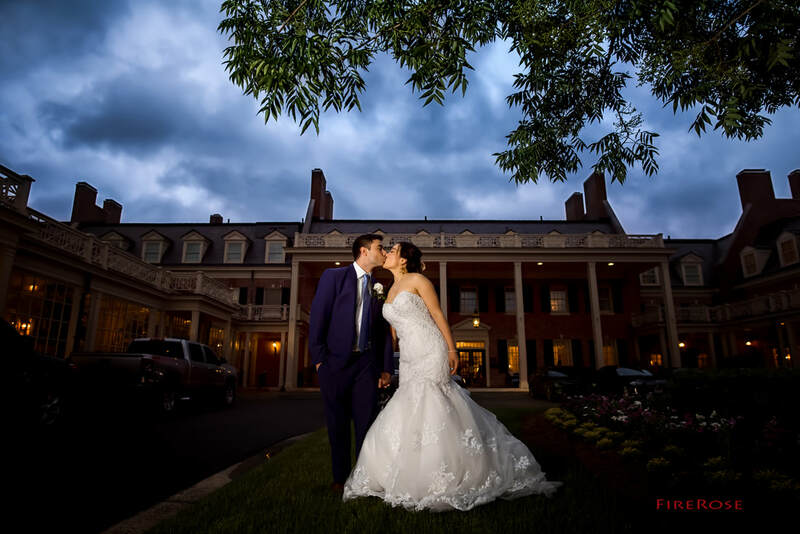 07/22/2017: Itzy & Jordan "Cassie exemplified everything I hoped for in a wedding vendor: Talented - Cassie is an extremely talented photographer. I found that the high quality of her photos is consistent, and boy does she have a knack for lighting! That said, Cassie was creative with poses and backgrounds, and she was quick to ask about our vision. 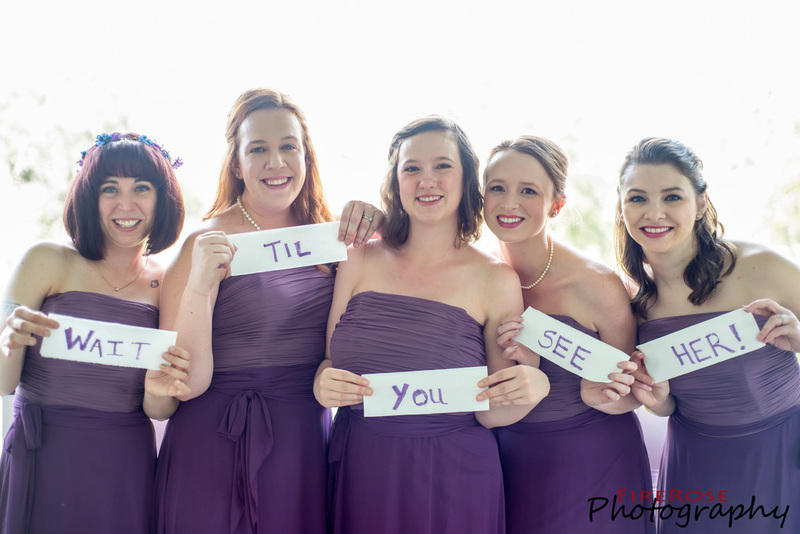 Organized - I ended up getting my engagement, bridal and wedding photos from Cassie. Before every photo session, she requested Pinterest boards / samples of photos that I liked so that she could understand the feeling I was going for. She also sent helpful reminders about what to bring, suggestions for what to wear and makeup tips. It was also obvious that she had visited every venue we requested beforehand to identify the best places to get pictures. I felt extremely comfortable going into every photo session because of her preparation. 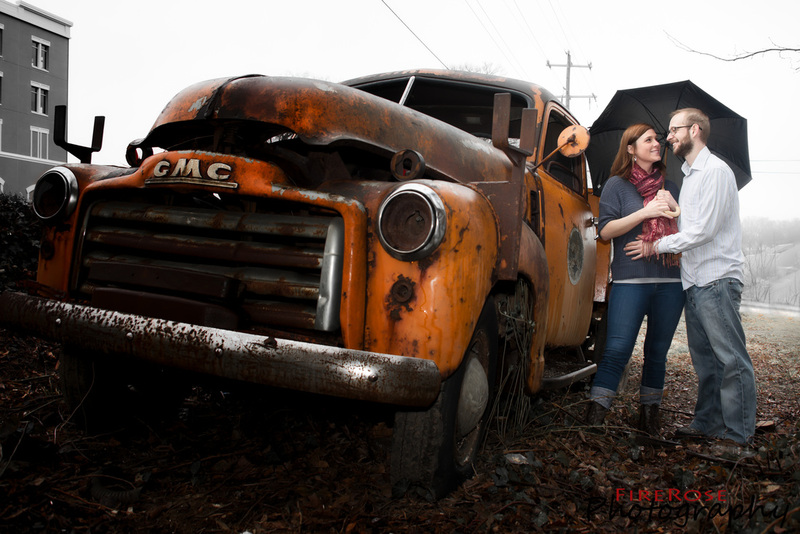 Dependable - I could always count on Cassie to arrive early for every photo session. She worked well with our other wedding vendors and took the pressure away from me so that I didn't feel as if I had to act like a middle-man. For our wedding photos, Cassie sent out a shot list document that walked us through all of the photos we might want for the big day, with room to include anything else we wanted to make sure she got a picture of. She managed to get every shot we requested - even when things at the rehearsal got a bit fast paced and I thought there was no way she would have time. 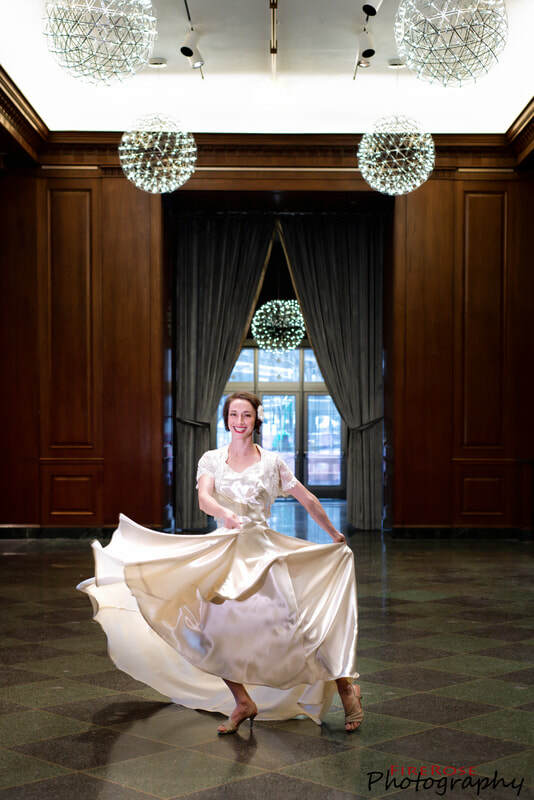 Energetic - I would love to meet a bride that can outlast Cassie - whether it was 40-degree or 90-degree weather, my groom and I were ready to call it quits long before she was! 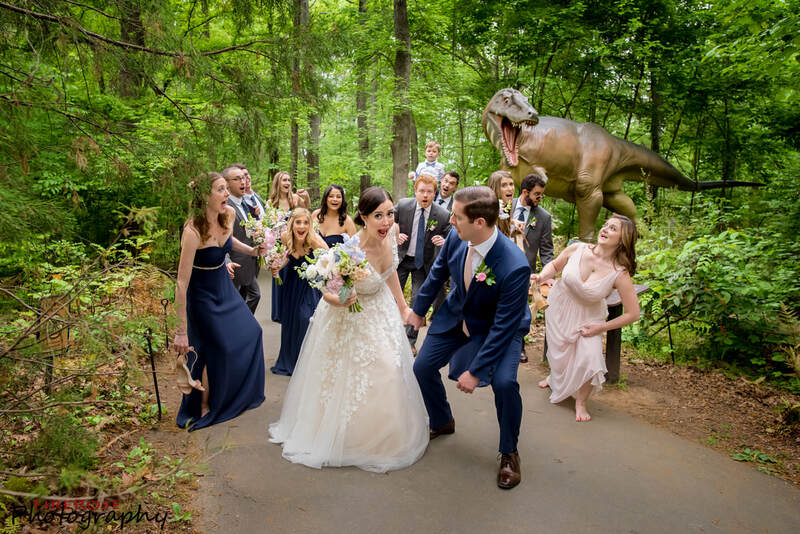 We actually had several of our guests comment on her "ninja" photography skills at our reception - it felt like she was in all places at all times, but never in an intrusive way. Although she's sociable and energetic, Cassie has a very calming presence, which, again, helped us feel comfortable." 07/02/17: Kay Cee & Marc "Kay Cee said... Cassie was so fantastic to work with. She was so helpful during the planning process and on the day of our wedding. She is professional, fun, and amazingly talented. The photo shoot with just me and my husband ended up being my favorite part of our entire wedding day! Our pictures are fantastic and I know we will cherish them forever! Book her now!!!!" 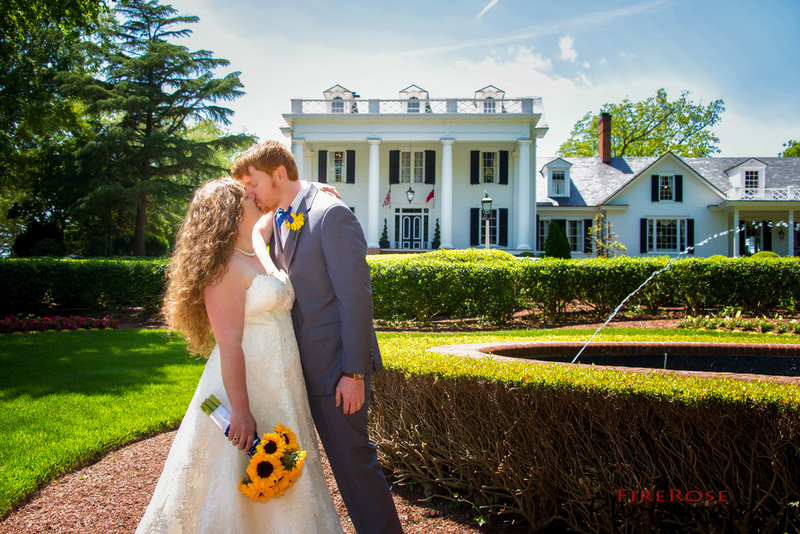 05/28/17: Katie & Dan "FireRose Photography was absolutely amazing and the photos turned out better than I could have ever imagined. Cassie was professional and extremely responsive throughout the entire planning process, making photography one less aspect we had to worry about! She was so interactive during the entire wedding, getting in the middle of the action to make sure she was able to capture the best candid shots. Even more impressive was her ability to quickly move throughout the venue, you'd think based on our photos we had multiple photographers capturing all angles of the day, that's how impressive she is! She did such a fantastic job that we had numerous wedding guests tell us afterwards that if they could get married again they would hire her as their photographer. Hire her! 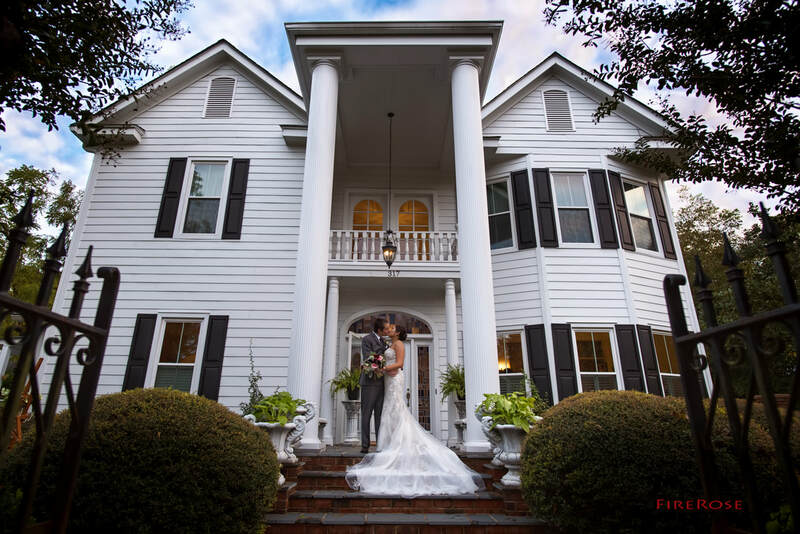 You will not be disappointed in the service she provides and more importantly, you will love her ability to beautifully capture your wedding day! Wedding: May 28, 2017"
05/20/17: Becca & Mario "The only advice I can give is BOOK NOW! Seriously! 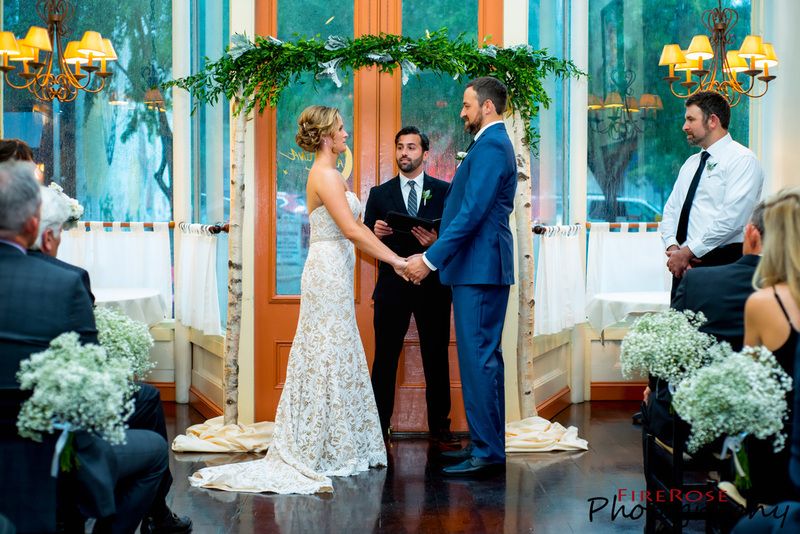 From the responsiveness, to the professionalism, to the flexibility, to the pricing, to the most important part, the wonderful, priceless photos, FireRose Photography is it. Everyone that interacted with Cassie on the day of the wedding commented on her professionalism and once she posted a few photos, everyone was blown away with how amazing they were! I planned most of the wedding myself so needless to say, I was stressed! However, I never worried a minute about the photography. Cassie made me feel like we were her only clients when I know she was extremely busy! Cassie even willingly hopped in our limo to and from the church (which was TIGHT) so we could capture more candid shots with the bridal party. She perfectly captured the best day of our lives and we will be forever grateful! " 04/28/17: Shun & Scott "Cassie was such a joy to work with for the past few months! She answered all of our questions and listened to our crazy ideas. So many of our guests mentioned how friendly she was during the wedding. And the pictures are AMAZING! 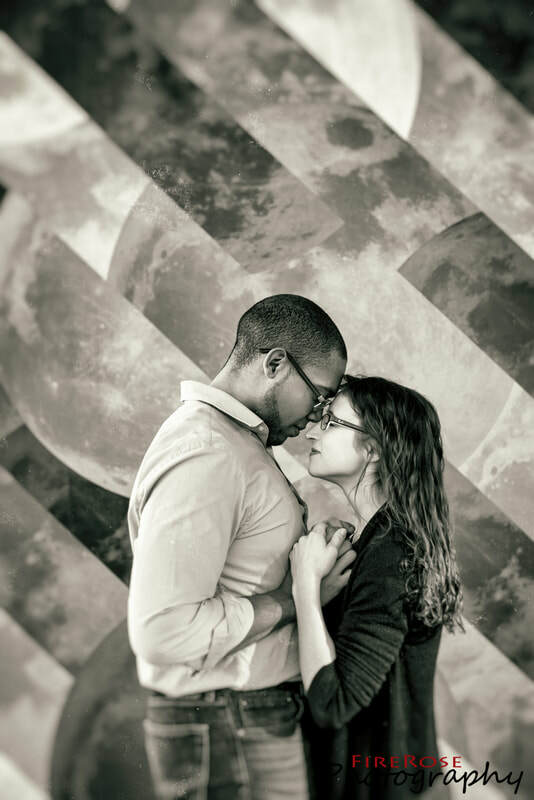 My tip: schedule an engagement photo session. It's a good way to get comfortable with the photographer before the wedding. I think we were so at ease with Cassie during the wedding and the pictures were so carefree because of the engagement session." 04/22/17: Leslie & Pablo "As soon as I saw Cassie's website I knew she was the photographer that my husband and I needed and she was the first vendor I booked. Not only are her prices amazing in comparison to a lot of other photographers but she's also super flexible. I had originally signed for bridal portraits, but a few months before the wedding I changed my mind and it was no problem at all! But to top it off her photos are absolutely spectacular. They are vibrant and capture all the moments that you want plus ones that you wouldn't have thought of but are perfect and beautiful. We weren't even aware of her taking pictures and she was able to take so many. (No wonder they call her a ninja!) I'm also amazed at how fast she was able to get us our pictures- not even two weeks! I know people that wait months after their wedding to get their pictures. Cassie will be our photographer for any photos we need in the future!" 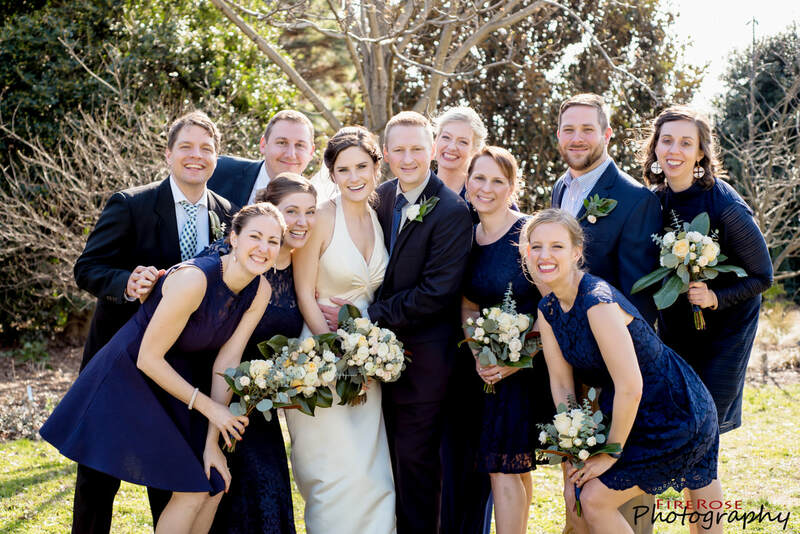 04/15/17: Jenny & Sascha "We were so lucky to meet Cassie at our friends' wedding last April and then book her for our recent April wedding in 2017. Cassie was amazing to work with! She took the time to find out what was important to us to capture. Cassie also put me at ease during the day of the wedding and made me feel completely comfortable the entire day and evening. She is great at capturing candid moments and also creative at coming up with great photo opportunities. She is incredibly friendly but also great at going unnoticed during the ceremony so you don't feel like you are spending your whole wedding taking pictures and then she still provides incredible shots! Best of all, the day after we returned from our wedding, she had all of our photos ready for review. 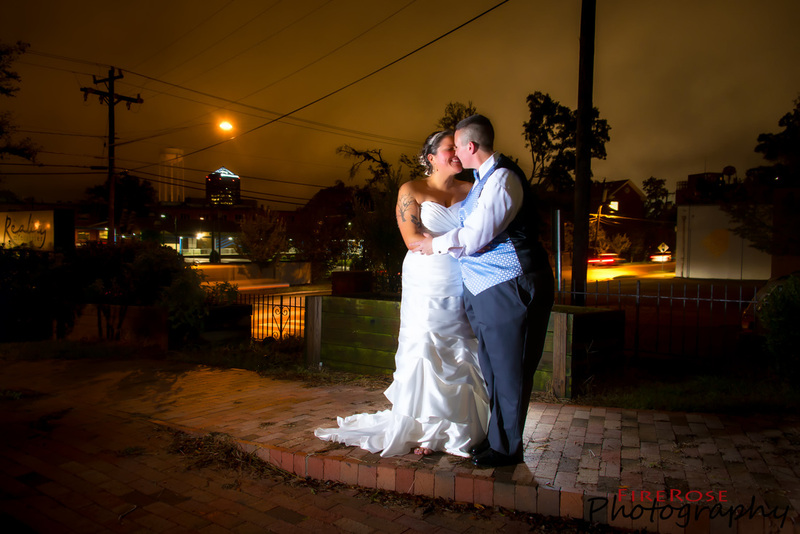 I would highly recommend booking Cassie for your wedding photography needs!" 04/09/17: Jiamei & Kelvin "We had Cassie as our wedding photographer and we couldn't be happier with her service and work. I highly recommend her!" 03/26/17: Nicole & Chad: "Nicole said... From the first moment my husband and I met Cassie, we knew we had our photographer for our wedding. Not only was her past work absolutely fantastic, but Cassie made everything so easy! Planning this wedding without a planner made things stressful at times but I never once was worried about photography because I knew that Cassie had everything under control. 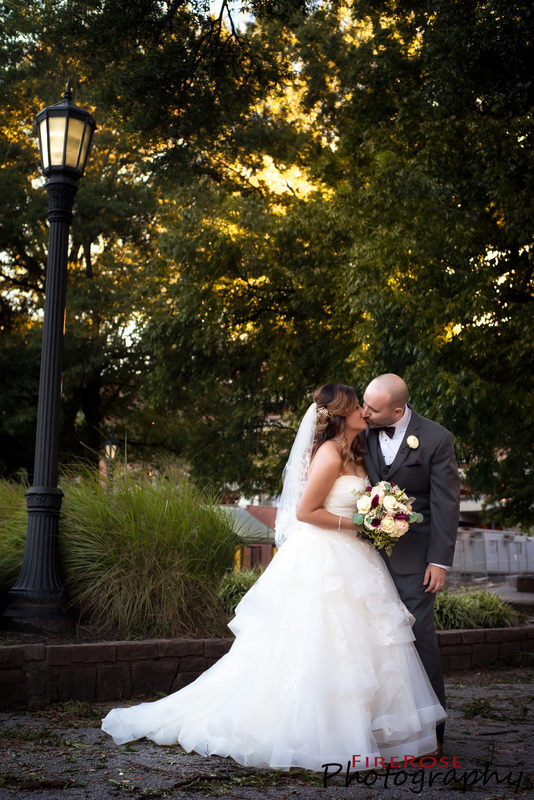 Not only were the steps leading to the big day easy as can be, but the wedding day photography was a piece of cake! Cassie could read our minds...she knew exactly what we wanted and made sure that we have beautiful memories to last a lifetime. My husband and I cannot thank Cassie enough for everything! 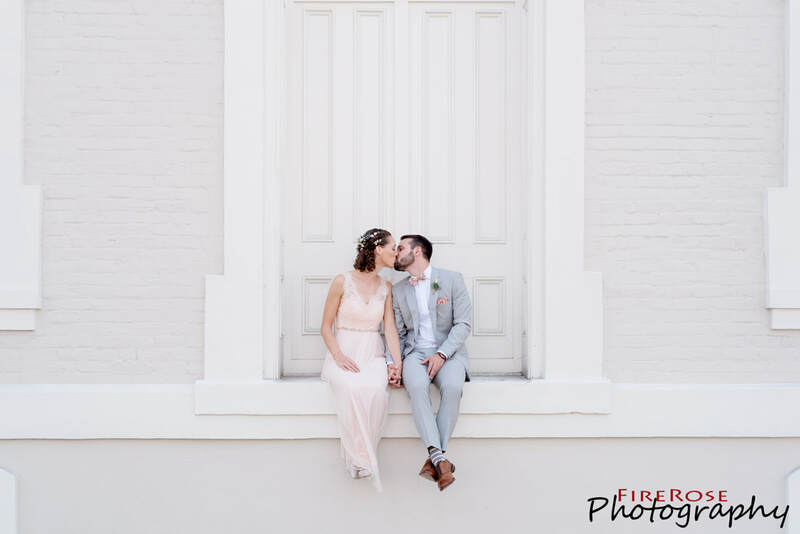 We are so glad to have had the opportunity to work with FireRose and know we will use FireRose again for all photography needs in the future!!" 03/11/17: Samantha & Brian "Thank you for capturing the hearts of my son and future daughter-in-law. You rock, Cassandra!" 02/05/17: Nicole & Robert "Absolute perfection! Cassie really knows how to capture the emotion, fun, and energy! We are so incredibly pleased we worked with her. She is amazing at what she does and truly is a ninja! She was seemingly everywhere at any one time! These pictures are better than we could have imagined!!!" 01/28/17: Tori & Matt "She is very good about taking candids and knowing exactly what to do in order to make you look your very best!" 11/12/2016: Officer Casey & Thomas "She did an awesome job with taking pictures and was very patient. All of the photo's turned out excellent and you get a lot of photos for a great price. The next time we need pictures I would not use any other person except her. Strongly recommend if you are looking for someone with a good price and excellent photo results." 10/30/16: Shun & Scott's engagements "I'm not sure we ever fully thanked you for how quickly you turned our engagement photos around. We were both blown away with the photos. Our Save the Date postcards are going out soon, and we couldn't be happier with our experience. 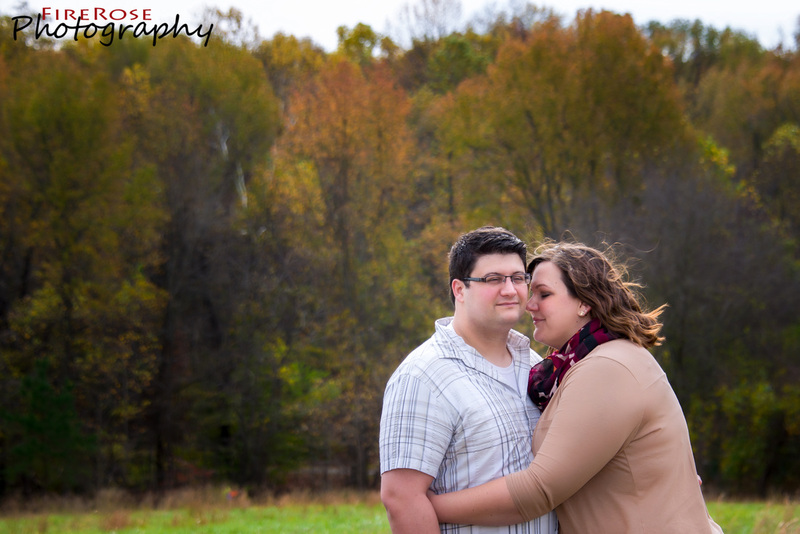 We are looking forward to April :)"
10/18/16: John & Nikki's engagements "Cassie is amazing! Seriously the best photographer! She is patient, creative, and understanding; allowing her clients to feel completely at ease while being photographed." 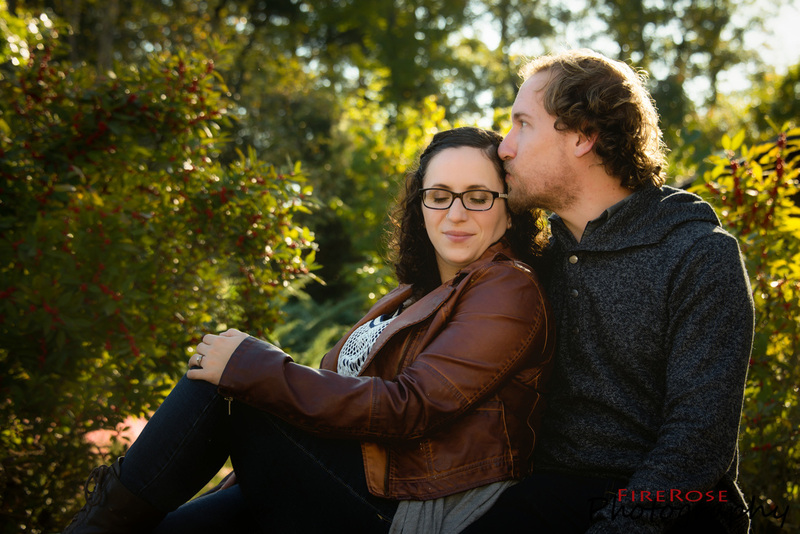 10/09/16: Sheila & Jason "Jason reviewed FireRose Photography — 5 star, Cassandra is everything we could have hoped for in a photographer. She shot our engagement photos, bridal photos, and wedding. Everyone who has seen her work is very impressed. She is extremely easy to work with, and knows how to capture every detail in a photo. We have a friend, and photographer for life!" 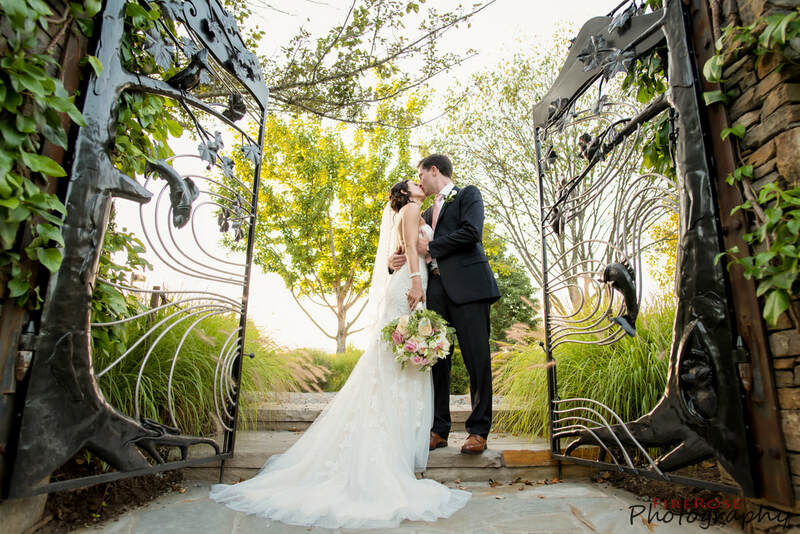 10/08/16: Emily & Paul "If you are looking for a professional photographer that really focuses on you as a couple and your goals/wishes for your event, Cassie is perfect. She was very attentive and completely understood what we were looking for." 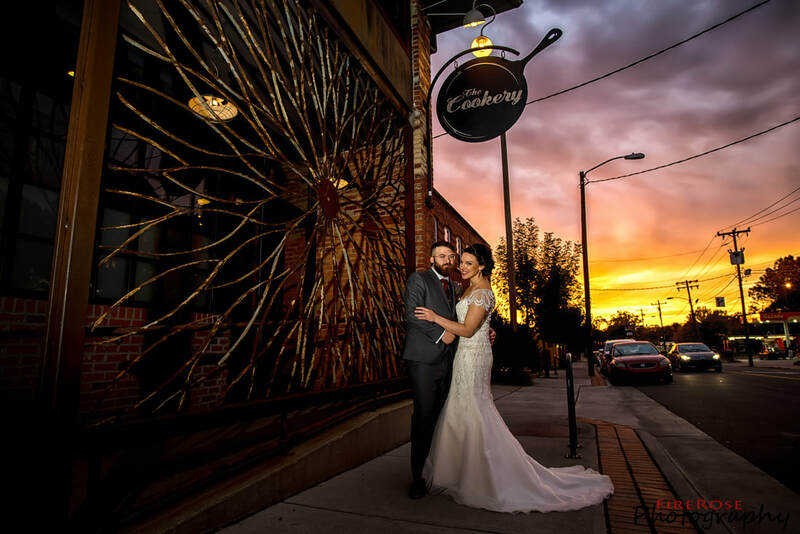 10/01/16: Colisha & Aaron "Colisha said... My husband and I could not be more satisfied with the service, quality, and professionalism of FireRose Photography! We interviewed 8 different photographers, and in the end, it was the easiest decision to go with Cassie and her company. We took an entire year to prepare for our wedding and FireRose reached out to us on several occasions just to check in. She was extremely flexible and timely and always professional when answering our questions. We were pleasantly surprised by her willingness to come to our wedding rehearsal to map out angles for photos at the wedding ceremony. We were even more surprised by her willingness to travel out of town ahead of our wedding to do some practice shots at our reception location. The quality of her pictures were extremely important to her. You coud tell that she was focused on delivering a quality experince by her interactions with you as a client. We truly felt valued. 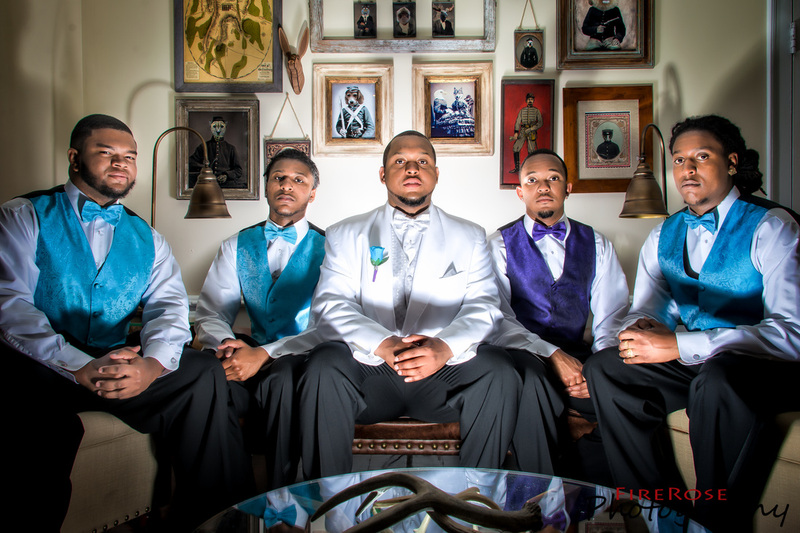 You just wont find another photography company as personable and professional as FireRose. If we could rate them higher than 5 stars we would! Please use us for a reference. - The Stanfords"
09/17/16: Rosalyn & Dan "Cassie is wonderful! We are obsessed with all of the photos and seriously couldn't have gotten a better photographer for the price. Highly recommend!" 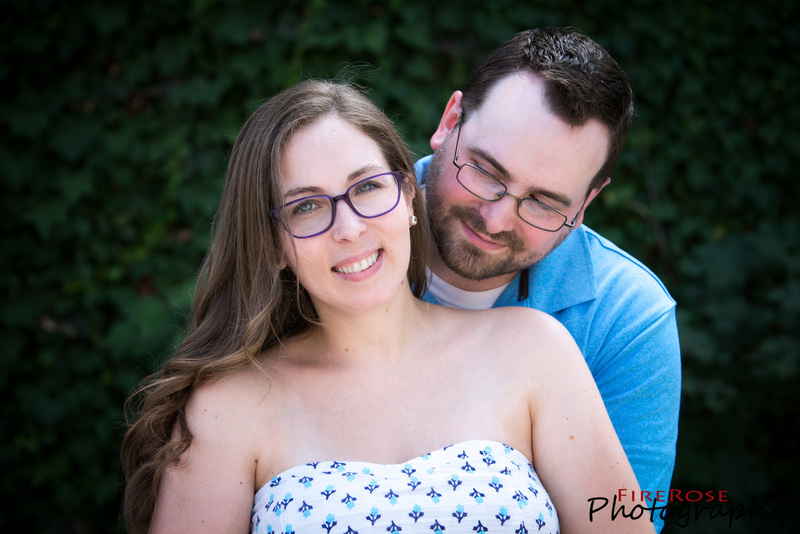 08/13/16: Shannon & Skip "There really are no words that can describe how much we enjoyed having Cassie as our photographer. From the first meeting all the way through the event she made both of us feel completely relaxed and comfortable. She was very flexible and understanding when needing to be, which really meant a lot to us. The pictures she takes come out amazing. They have this fun and elegant feeling to them. We have already received numerous comments from family and friends on how beautiful the pictures look. 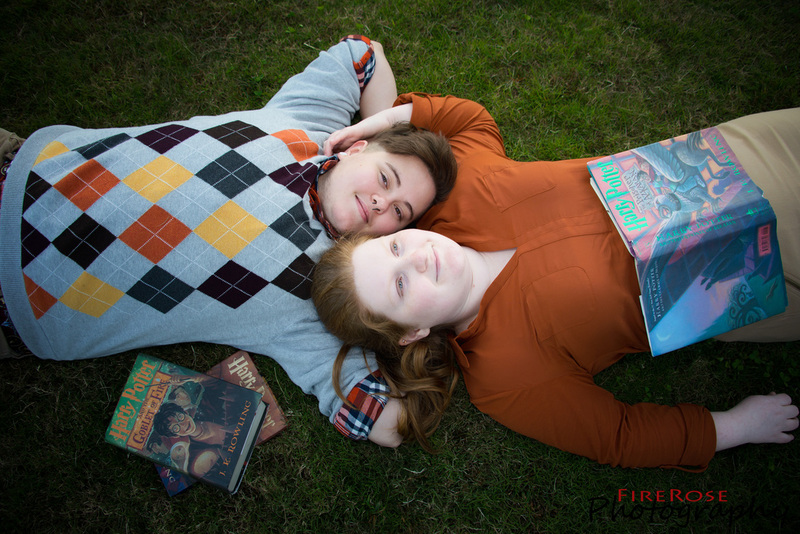 My husband and I don't usually like getting our picture taken for various reasons, but she made it really fun and we thoroughly enjoyed taking the pictures. I really liked how Cassie made me feel beautiful and confident. What we enjoyed the most though is the way she interacted with us. It was like having a friend capture these memories rather than just a photographer. 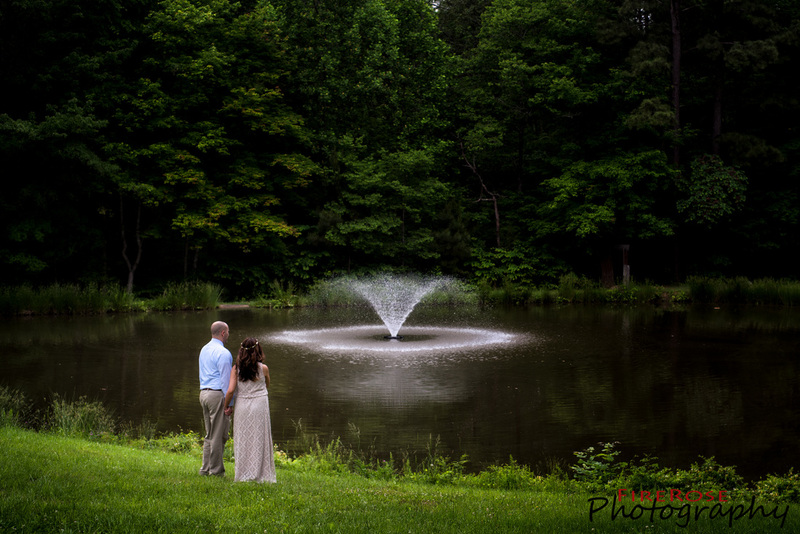 Cassie is a photographer that you will want to have capture all your life events not just your special day." 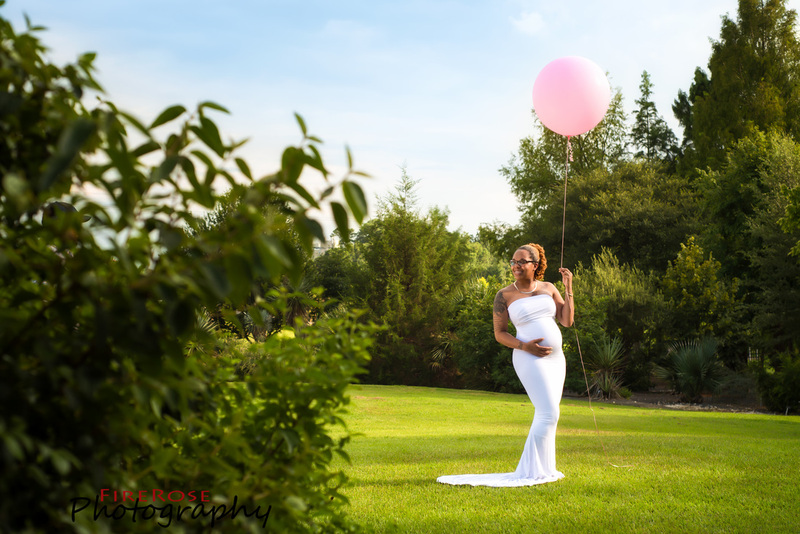 08/04/16: Janee & Julian Maternity Portraits "Doing my maternity shoot with Cassie was GREAT! She was very prompt and patient even in 90 degree weather. She was very creative and made our maternity pictures everything we could dream of, they turned out beautiful and I couldn't be more happier with them!! I know she will capture our special moments and make them memorable." 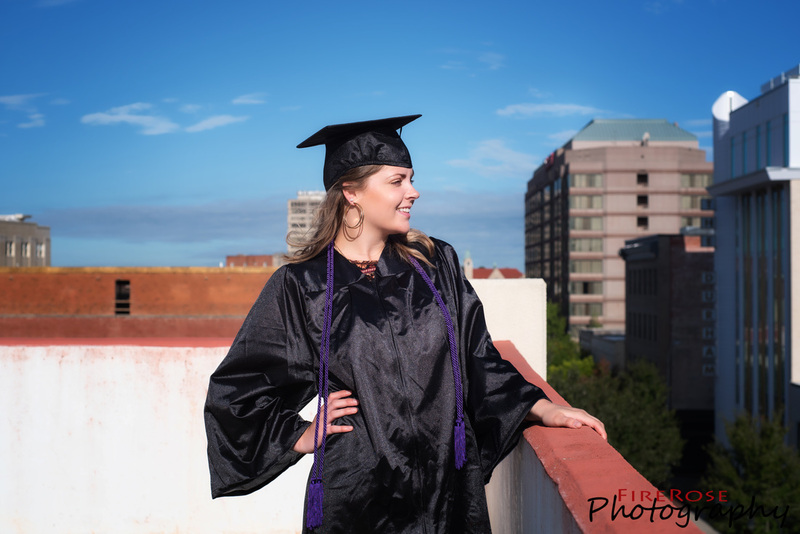 07/29/16: Brittany's Graduation Photography "The graduation photo shoot exceeded my expectations. It was my first time taking professional pictures so I was very nervous at first. The photographer directed me and was so calm which made me feel really comfortable. I'm happy I put my trust in her because the end result was amazing and I will always have these beautiful pictures to look back on." 06/26/16: Jada & Katharine "We can't even begin to thank you for the talent, the vision, and the spirit you have shared with us. Thank you for all you have done to capture this magical time and give us memories for a lifetime." "Cassandra is like one of the family now! 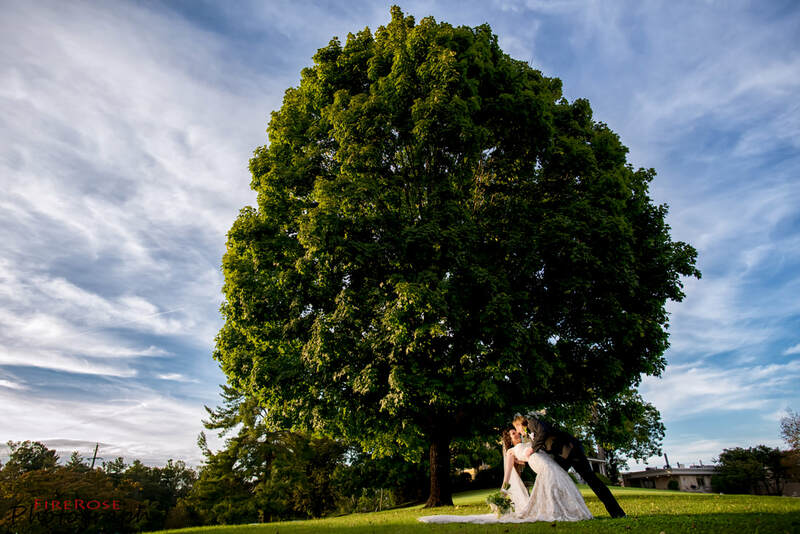 As the photographer for our very unusual "Princess Bride" themed wedding, she went above and beyond what one would expect. She was professional and fun to work with and prompt in communications and planning. 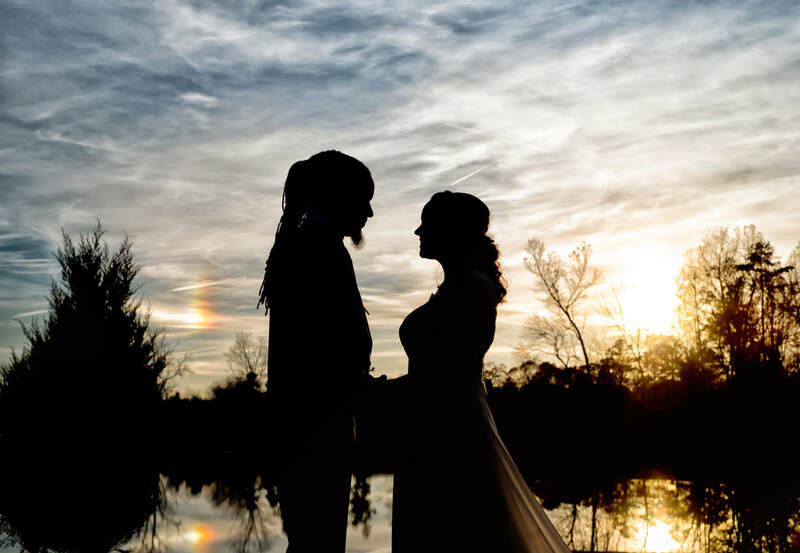 We have so many astoundingly beautiful and fun photographs of our wedding and reception - she captured our magical fairy tale day for us and we will be forever grateful." 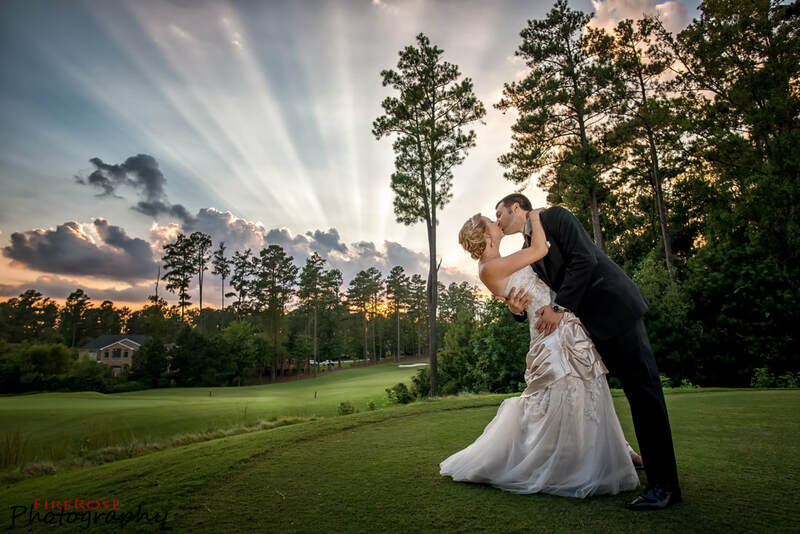 06/18/16: Kim & James **James Landy 6/30/2016 Amazing photography. we love these pictures. You did very well capturing all the important moments. We can't thank you enough. Thank you and what a great job! 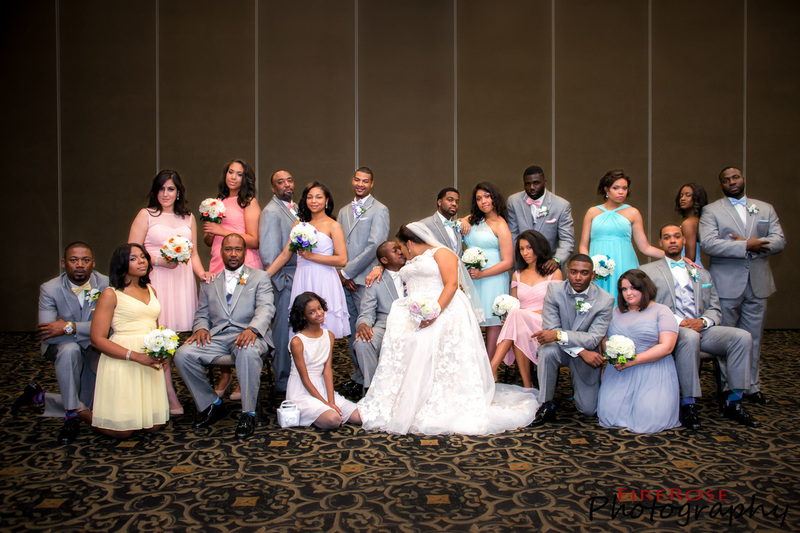 **Yadira Clyde 7/20/2016 I have seen many wedding pictures throughout the years all of which were beautiful but I have never seen such incredible shots as the ones taken at my daughter's wedding. The camera never stopped clicking, but you didn't know she was there. She took beautiful posed pictures but the candid shots were out of this world. 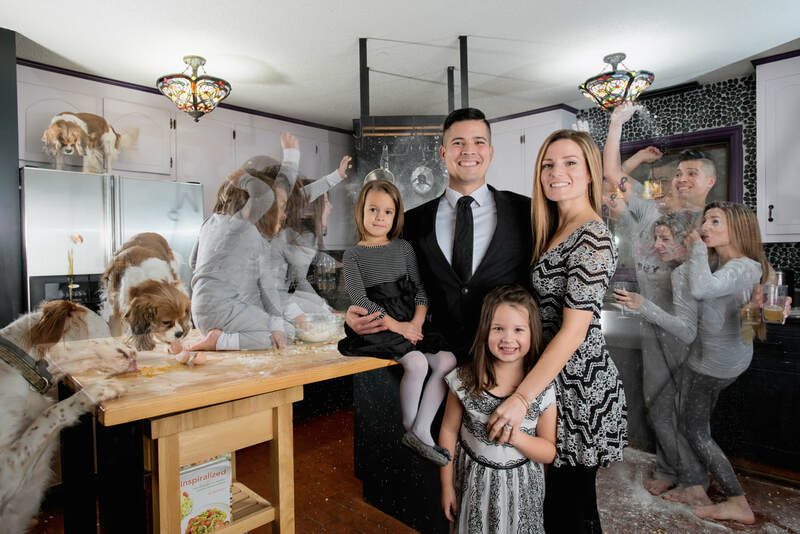 She captured the true Clyde - Landy family and friends and created incredible memories for us. We were lucky to find her. 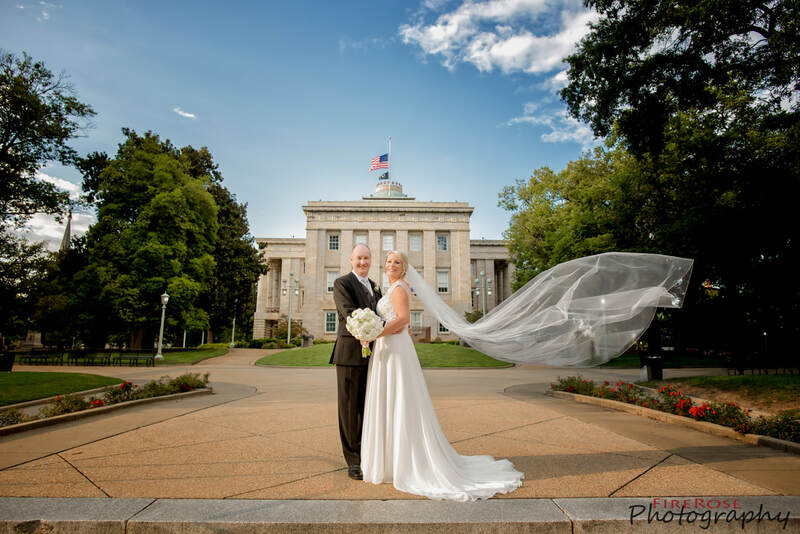 Thank you Cassie **Kim Landy 8/27/2016 As a bride you tend to each and every detail for your wedding day wanting it to be amazing and memorable. You know your photographer is huge, because they capture the details: the moments you are part of and the moments happening around you that day. You look at several photographer's websites and hope you fine someone who will get the job done. Cassie immediately responded to an interest email (within hours) and we set up a day/time to meet. We loved her professionalism and her laid back nature. We were sold immediately! 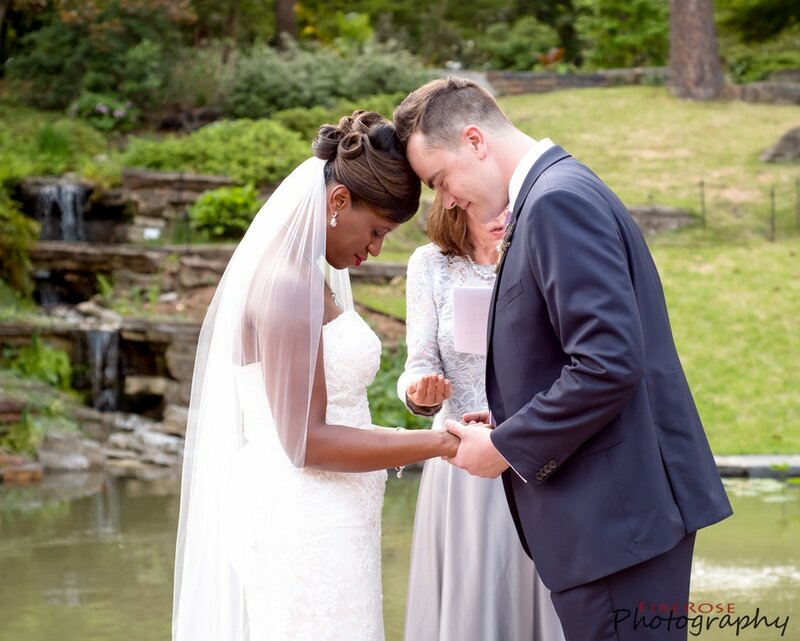 She communicated throughout the process and kicked it into high gear right before the wedding. As your big day goes on, you are in the middle of things and enjoying every moment as it comes. 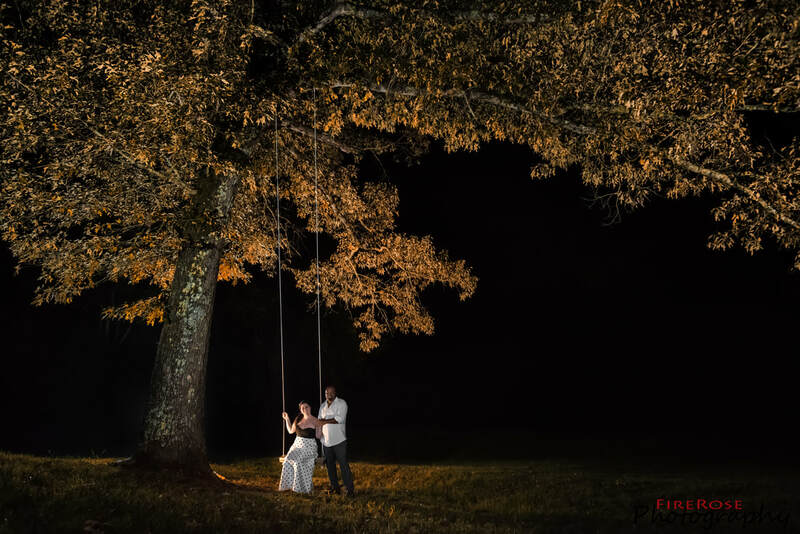 After the wedding you wait patiently for pictures and then this teaser happens, this amazing blog with a sample of what is to come and you can't wait to get more. And then that envelope comes in the mail...and you run right to your computer...and there is your big day, chronicled for you, precious moment after precious moment. I have looked at my pictures over and over laughing and crying (happy tears) every time. Cassie, I can't thank you enough for capturing one of the best days of my life and giving me the opportunity to continue to enjoy it. You were creative for formal shots and were some kind of ninja to capture all the activity of the day. You captured the LOVE in that room, better than I ever could have anticipated!! THANK YOU! 06/11/16: Victoria & Zachary "Cassie has been absolutely amazing to work with! I read another review that called her a photo ninja and they were absolutely correct! She did our wedding, engagement, and bridal photos. And they are all amazingly well done. She has a real talent for capturing special moments. The job she did was better than I every expected and I would absolutely recommend her to anyone. And I can't forget to mention that her prices are more than reasonable and you get far more than what you pay for!" 05/28/16: Brandy & Kerry "I would highly recommend firerose photography to anyone looking for a photographer to capture your special day. 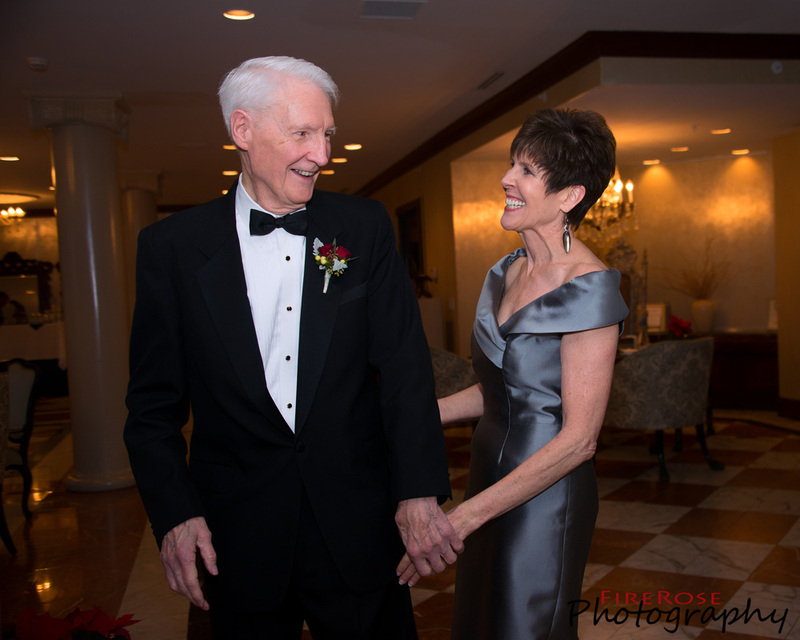 Cassie did a wonderful job of taking all our desired shots as well as candid shots of our guests. It was great to see how others enjoyed our day through her photos. Cassie has most definitely found our passion and purpose and was a joy to work with. Whatever it took for this "photo ninja" to get her shot she was willing to do it!" 05/21/16: Xandra & Michael "Having Cassie as our photographer was probably one of the best decisions we made about our wedding. She was friendly, kind, down to earth, calm, positive, helpful, flexible, and also talented! She was quick to respond to emails and questions. She was always extremely professional but warm. She is very good at making you feel comfortable, which was important for us because we were a bit nervous in front of the camera. On the day of the wedding she was amazing! She got everything we wanted, we got over 1000 pictures back, and she took pictures I didn't know I wanted but now treasure! Also I had my photos within 2 weeks!! Some of my friends had to wait a month for theirs from other people! You really can't get a better photographer for a better price!" 05/15/16: Catherine & Sean "A professional, flexible, and affordable, Cassie give you the most bang for your buck. 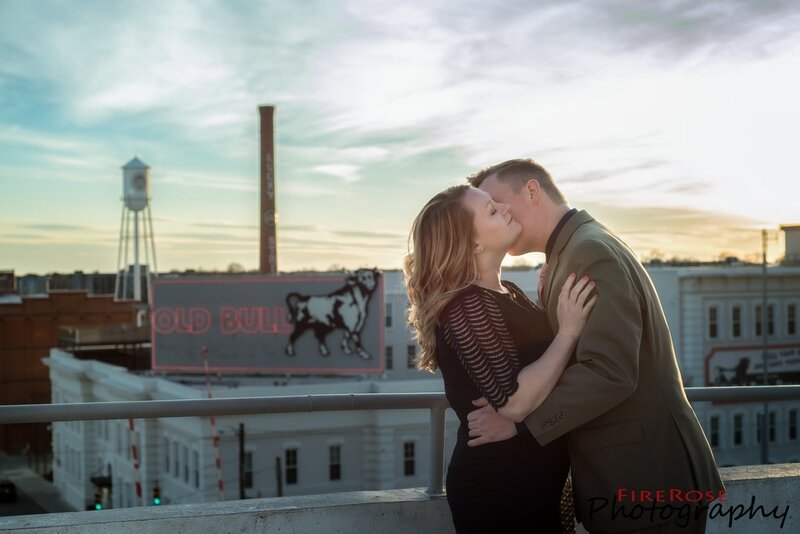 She was able to truly capture the love between Sean and I during our engagement shoot, a shoot with just myself, as well as during our ceremony and reception. She ninjaed her way unobtrusively through one of the happiest days of our lives immortalizing it in beautiful photos for us. She was flexible on when and how we needed her without adding to the cost of her services. 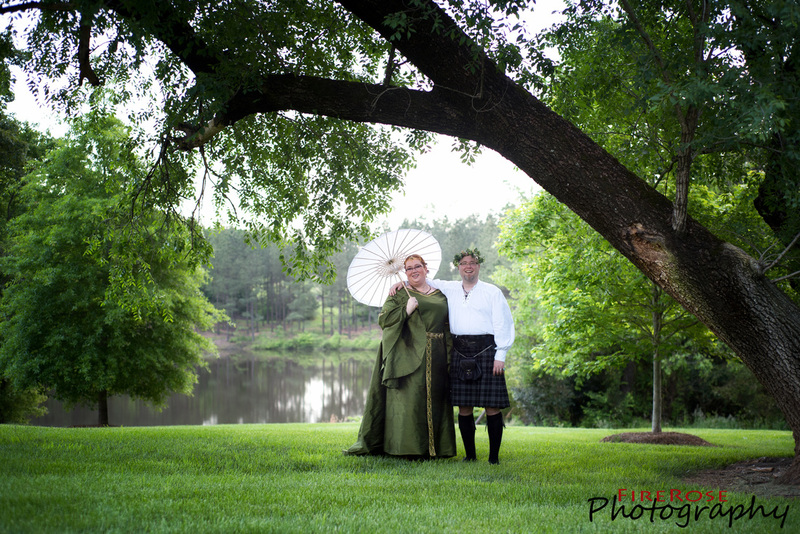 I truly cannot say enough wonderful things about FireRose Photography!" 04/30/16: Jessica & Robert "Cassie does amazing work !!!! She did our engagement photos, bridal shower photos, and wedding photos. She has amazing skills and is very patient ! She listens to your wants and needs as well." 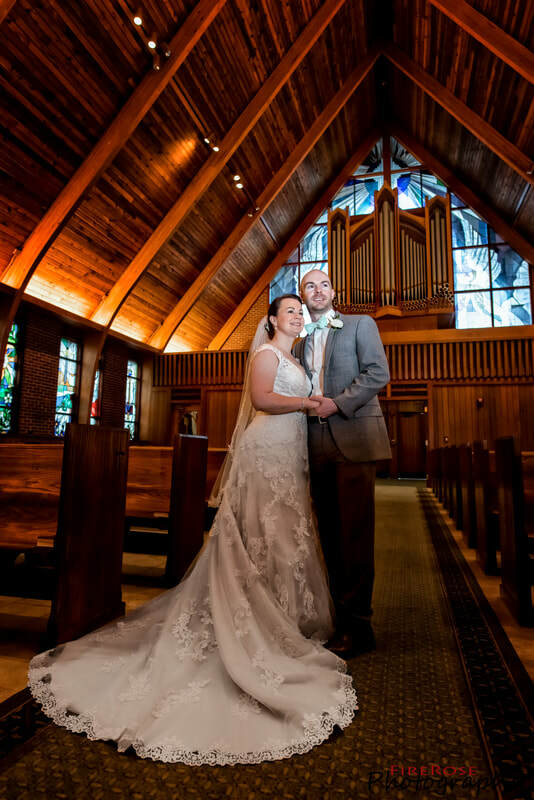 04/23/16: Samantha & Greg "Cassie was totally amazing!! 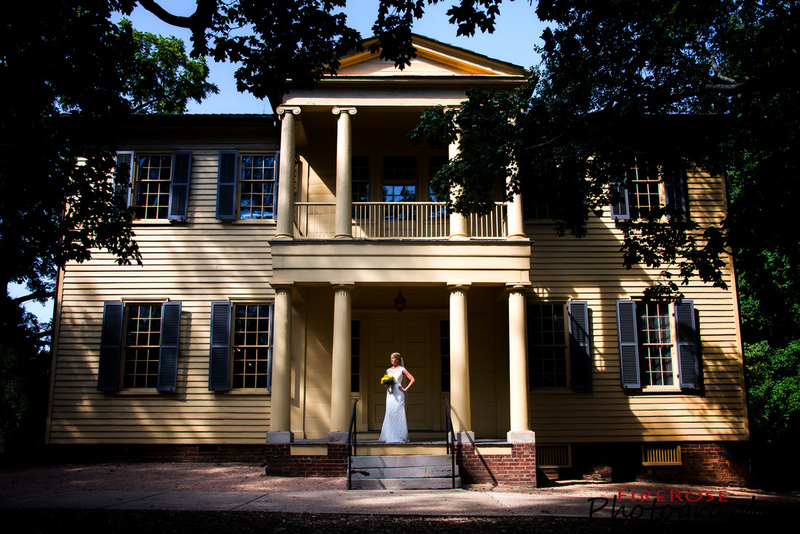 She was punctual and courteous, organized and efficient, plus she has a truly excellent eye for photography. All of the pictures were stunning and my wife and I could not be happier to have had her! She seemed like she was everywhere at once, and I would highly recommend her to anyone on any special day, not just weddings. Cassie scouted out our wedding location and the hotel we were getting ready in beforehand so she could find the best locations for pictures, found amazing lighting and backgrounds, and made us feel comfortable and relaxed the entire time, leading to to wonderful, lovely photos. She delivered our photos to us very quickly, and if I could've given her more than 5 out of 5 stars I would've! Will definitely use her for my next event because she's worth every penny and more." 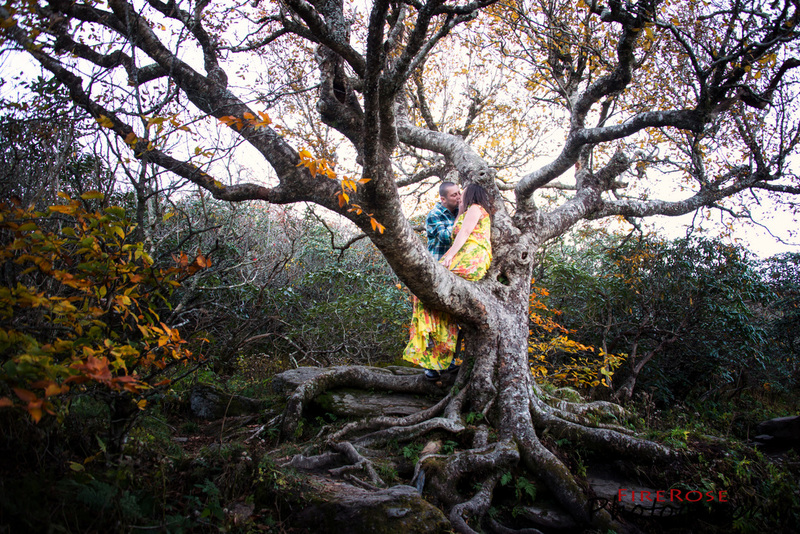 03/18/16: Chuu & Andrew "I had some strange and quirky requests for my engagement photo session, and Cassandra was totally flexible and able to roll with my weirdness! She even had some great ideas of her own! I would not hesitate to recommend her for your event!" 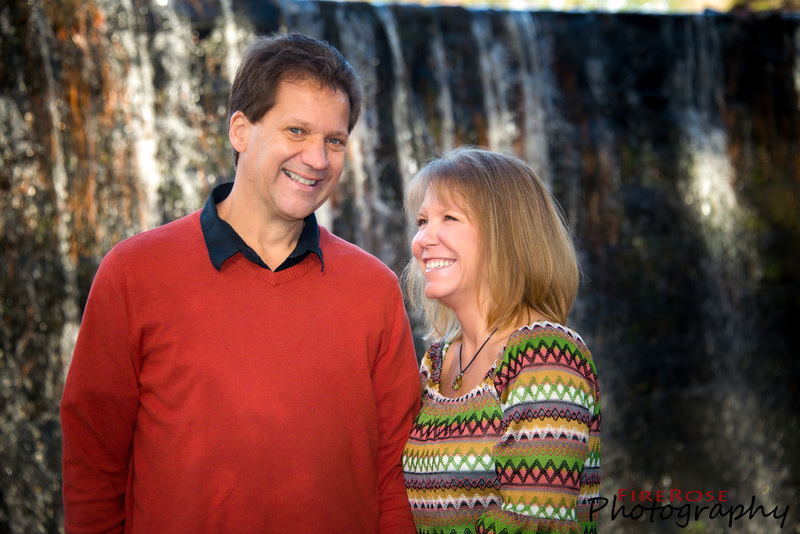 03/12/16: Melinda & Rick "Cassie was fantastic to work with! She was on top of everything from our first conversation, so I never had to worry. On the day of our wedding, she was definitely on top of things, but had a lot of fun with us so we were relaxed and natural in the photos. I loved that she never seemed to be in the way but somehow captured all the important moments. The pictures were absolutely stunning. I cannot recommend Cassie enough!" 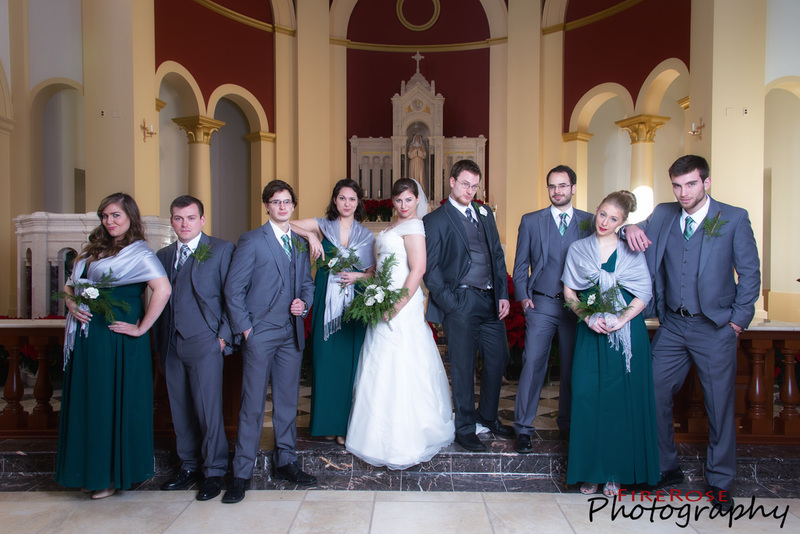 01/17/16: Sara and Tim "Cassie was wonderful to work with! She was sweet and kind and extremely thorough. Not only was she ninja-like at the wedding, capturing all the special, non scripted moments .... But also making sure to get all of the "must haves" from a traditional shot list. Cassie was great about communicating with me before and after the wedding and I really appreciated that. The most important thing of course, is that I LOVE all my pictures !! She has a great eye and I would definitely recommend her to everyone." November 2015: Catherine & Sean "Had our engagement photo shoot today, including our four dogs! Professional, funny, and easy going Cassie helped make our first photo shoot not only feel comfortable but we felt beautiful. Cannot wait to work with her on our wedding day!" 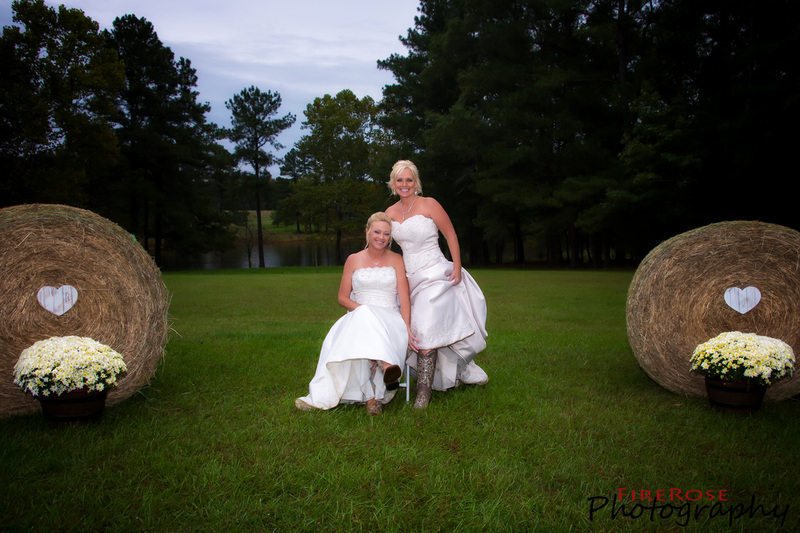 October 2015: Brandy & Lori "FireRose Photography did an amazing job at my wedding. Cassandra was very professional and had a way of putting everyone at ease. She captured our quirky personalities with fun photos and also took all the classic and traditional ones as well. The quality of the photos given to us was perfect. 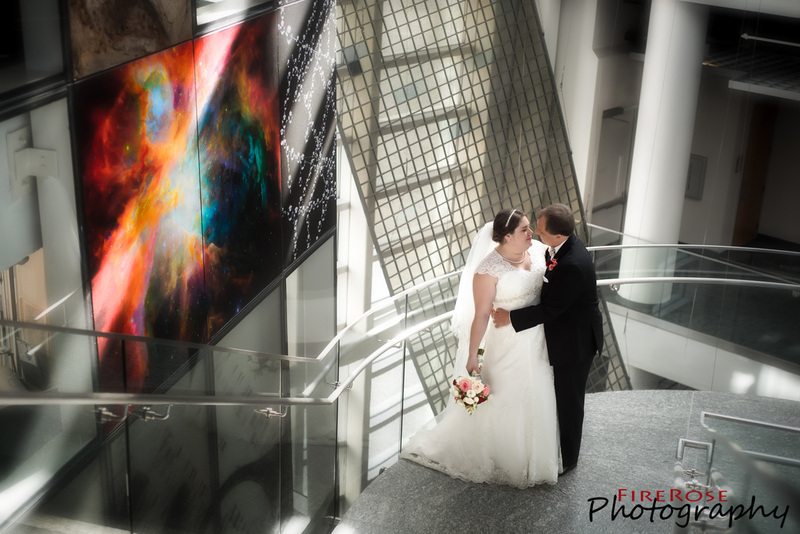 We blew up and framed several prints :) We highly recommend using FireRose Photography to anyone that needs great photos at any special event!! 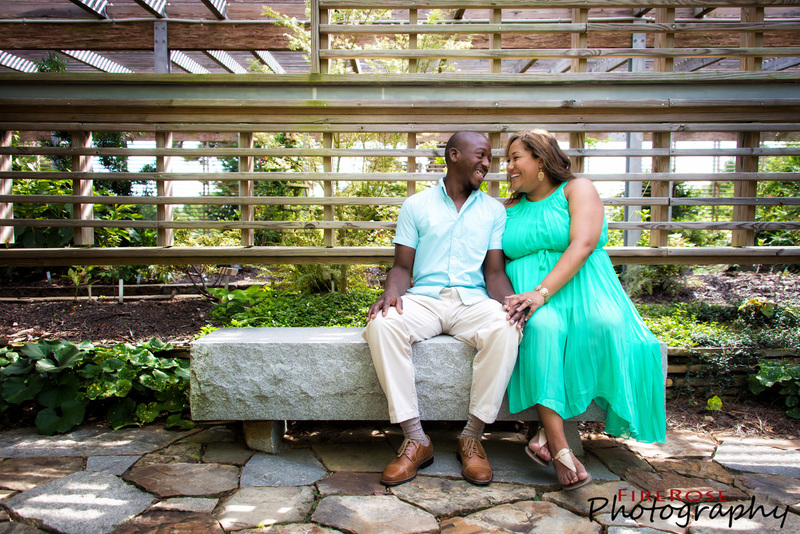 Brandy & Lori"
September 2015: Enjoli & Damien "Cassandra is awesome. She is a very fun and energetic photographer and she truly is gifted. She was so great to work with and so excited about our event. We gave her our ideas and she made them come to life through her photography. Since our wedding we have been asked by tons of people about hiring her for their own personal use and I definitely recommend her and will use her in the future." 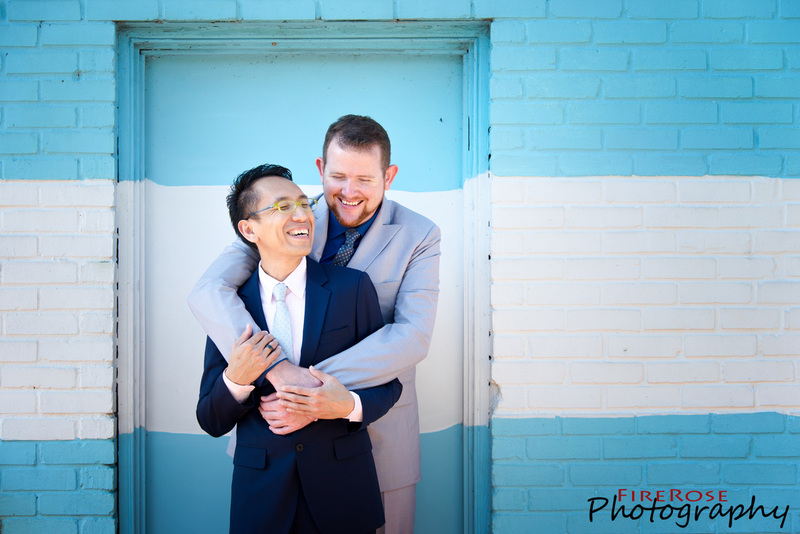 August 2015: Charlie & Kenny "Our wedding photos were beautiful. Cassie has captured our laughter, tears and candid moments in a very special way. She is extremely professional, friendly, and accommodating to us and our guests. She came early and worked around our schedule perfectly. We were so glad to receive the photos a week after our wedding. Our friends in Okinawa, Japan love the photos too! I would recommend her to anyone who needs a great photographer. Thank you Cassie for being a part of our special day." 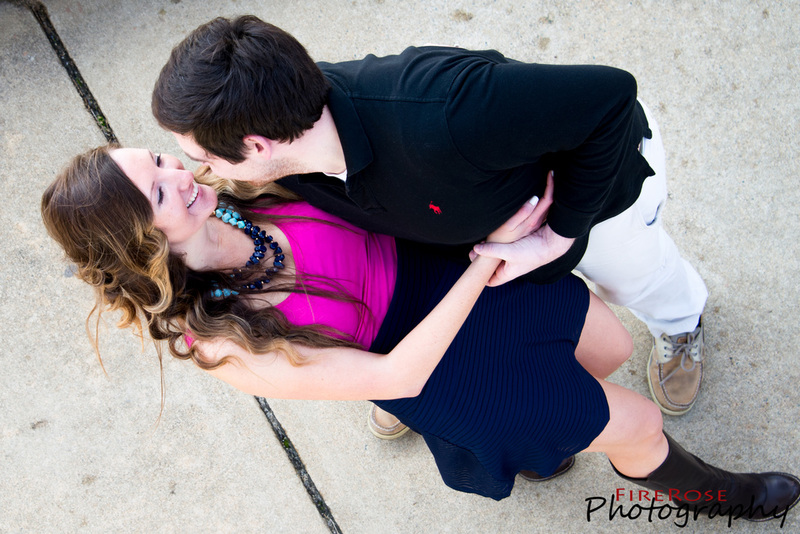 June 2015: Sarah & Nick "Cassie is as flexible and amazing as they come! Our experience couldn't have been better!" 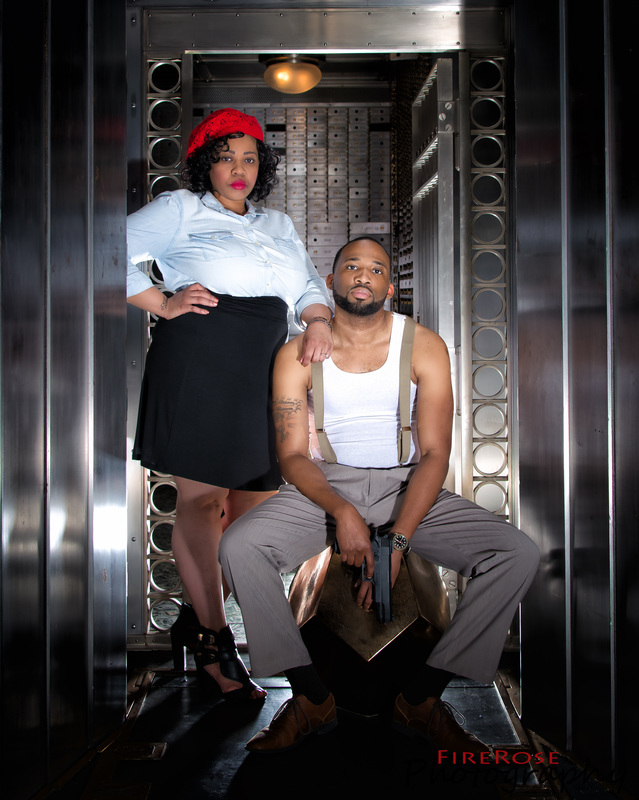 May 2015: Enjoli & Damien "This woman is amazing and so passionate about what she does. Very down to earth and so easy to work with. Give her a piece of an idea and she will turn into something incredible. I will definitely continue to recommend her for all my friends/family who want great photos that will last a lifetime. Overjoyed that she captured this most precious moment in our lives." March 2015: Jamie & Joe "From the moment Joe and I met Cassie she has been professional, comforting, full of ideas, early for every meeting and a wonderful person. Cassie took our beautiful engagement and wedding photos. She is an amazing photographer and had many ideas that made our photos pop, look different and wonderful! On our wedding day, we were at times overwhelmed with emotion or people and Cassie made us laugh or helped us ease through many situations. I wish we could go back and live our wedding day every week. Cassie has made it possible to view and relive our wonderful day over and over. We are very happy with her services and artistry. We have recommended her multiple times and will hopefully be able to book her again in the future." 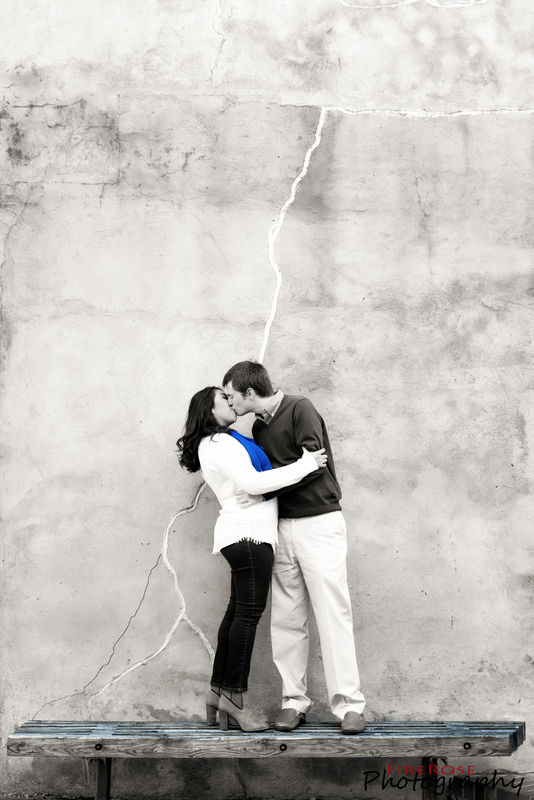 January 2015: Brittany & Chad "Cassie was an amazing photographer to work with! Even though we were living out of the area while planning the wedding, Cassie was accommodating in the planning process. She takes a photo-journalism view, which allows her to capture the story of the wedding day, not just take pictures. I was concerned that by only having 1 photographer, many of the details would be lost. I couldn't have been more wrong. Cassie was everywhere. She captured all of the details of getting ready, the small details that we wanted captured (invite, shoes, rings, etc), and she seemed to get every angle during the ceremony and reception. That being said, our guests hardly realized she was even there. Only 2 weeks after the ceremony, she sent us all of our pictures on a flash drive. We had almost 1000 pictures (after she sifted through, threw out, and edited some). We loved our experience with Cassie! We would recommend this photography service to everyone!!!" 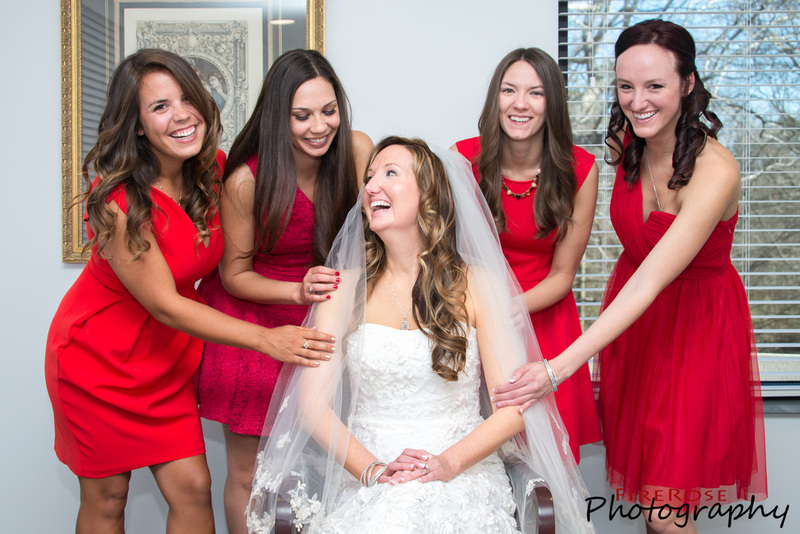 12/13/15: Nikki & Sara "Cassandra was fantastic to work with! She did both our engagement and wedding photos and both look amazing. She was there to help throughout the whole process when we weren't sure what questions to ask. She was very friendly, making us feel at ease whenever we took pictures (even though neither of us are comfortable in front of cameras). 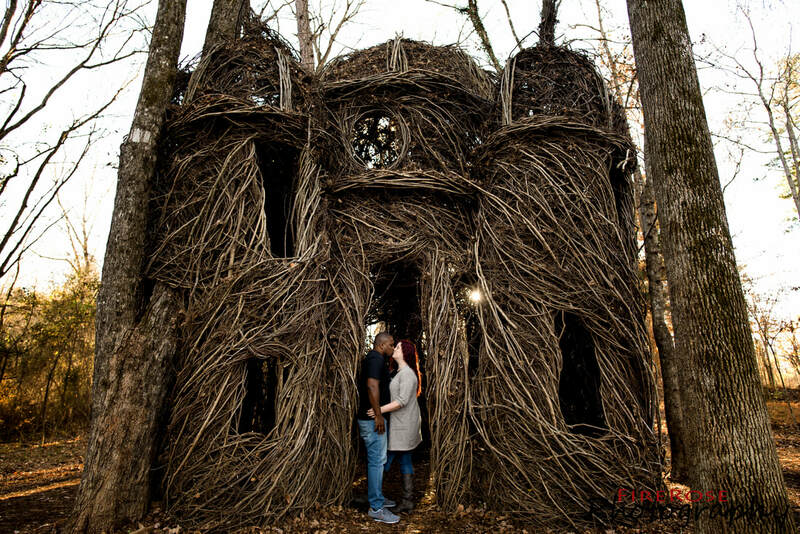 She is exceptionally creative, which is one of the things we were looking for, since we had a Harry Potter themed wedding." 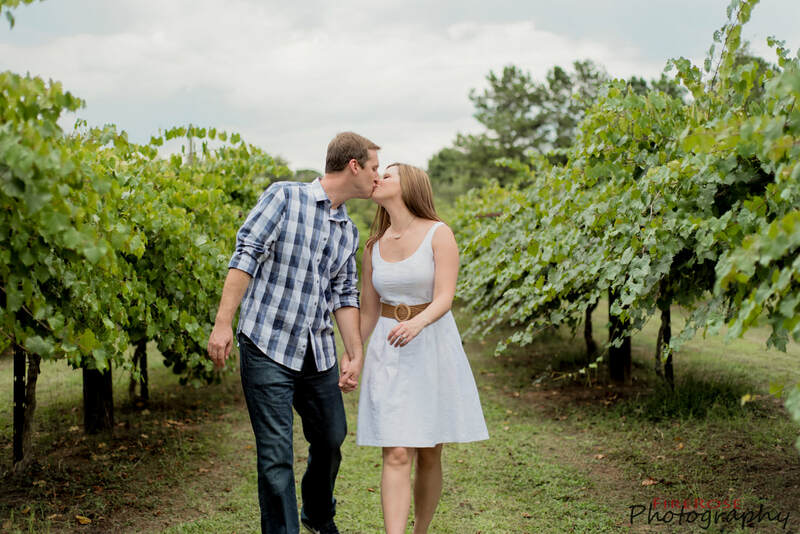 November 2015: Deanna & Grady "Cassie is fantastic to work with, her rates are extremely reasonable, is flexible in scheduling and all of the photographs turned out amazing!!!" 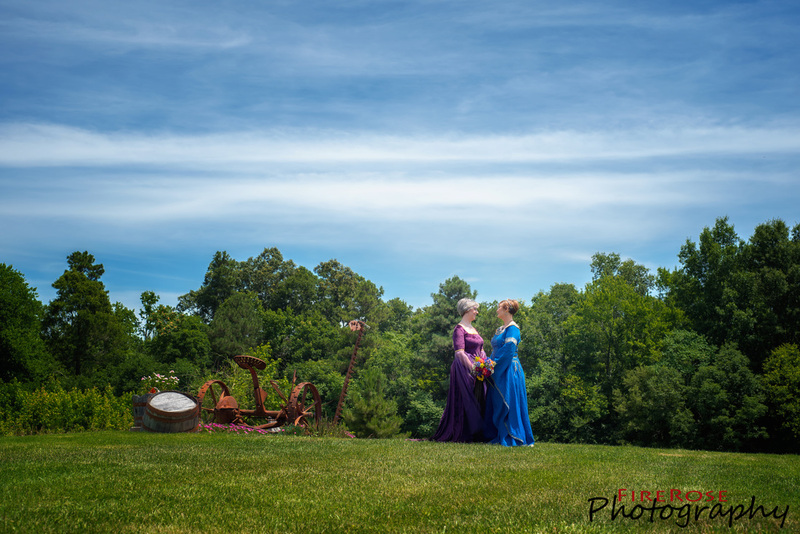 October 2015: Jeannie & Lisa "Cassie was Wonderful to work with and the experience was a lovely one! 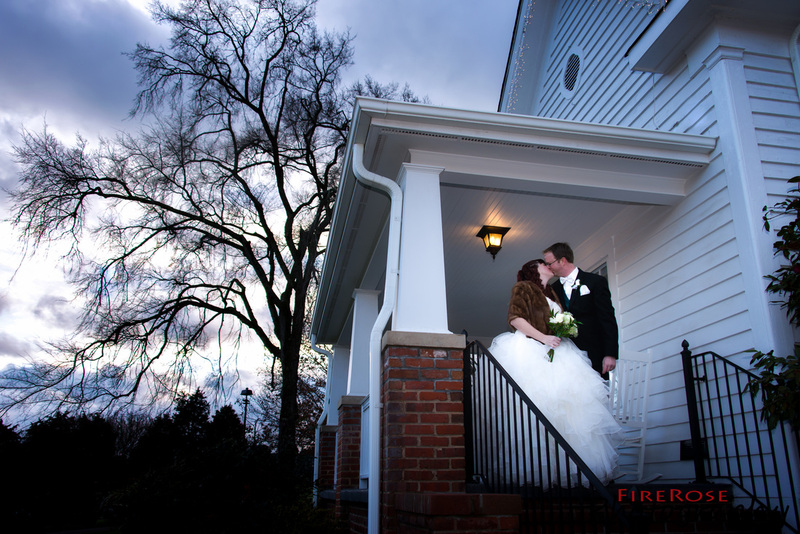 We are so glad we choose FireRose Photgraphy! We would definitely choose Cassie again and recommend to friends and family! Cassie really made our Special Day even more Special! 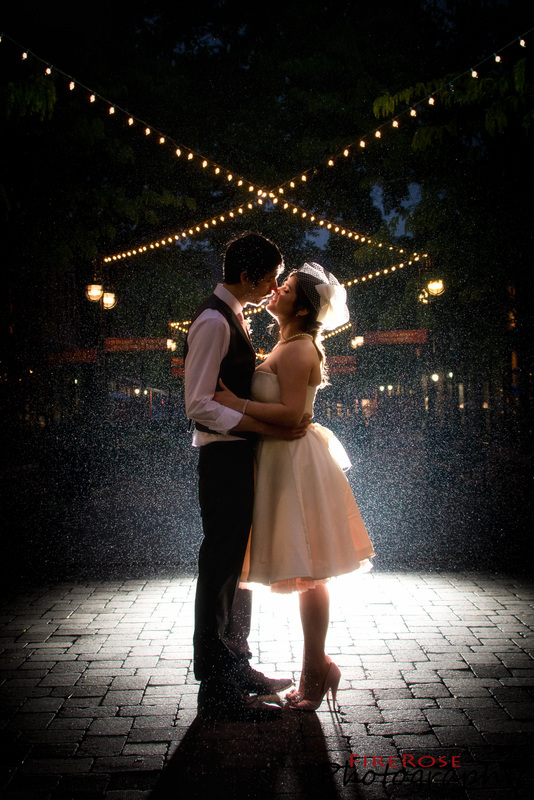 It rained on the day of our wedding and Cassie came out in the rain without hesitation! 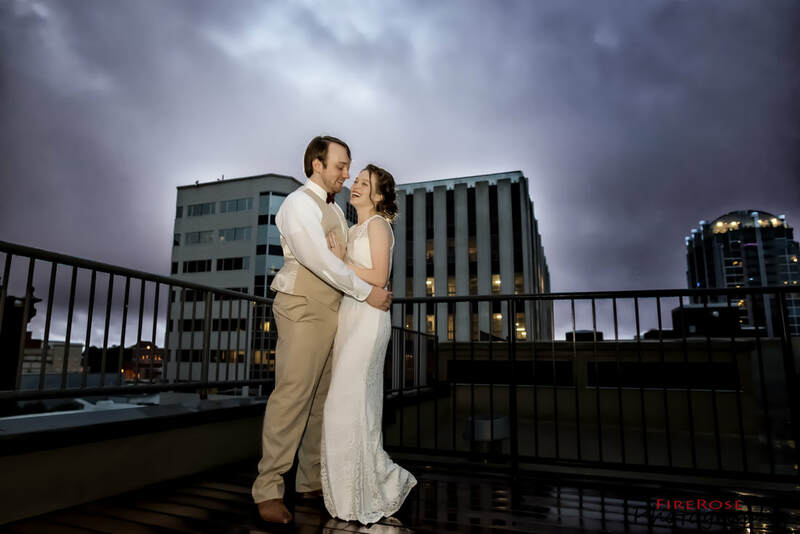 We were so worried how the pictures would turn out since it was raining and cloudy however Cassie made us feel so much better about it and she took Beautiful pictures!! We were so Happy and Surpised when we got our pictures back! 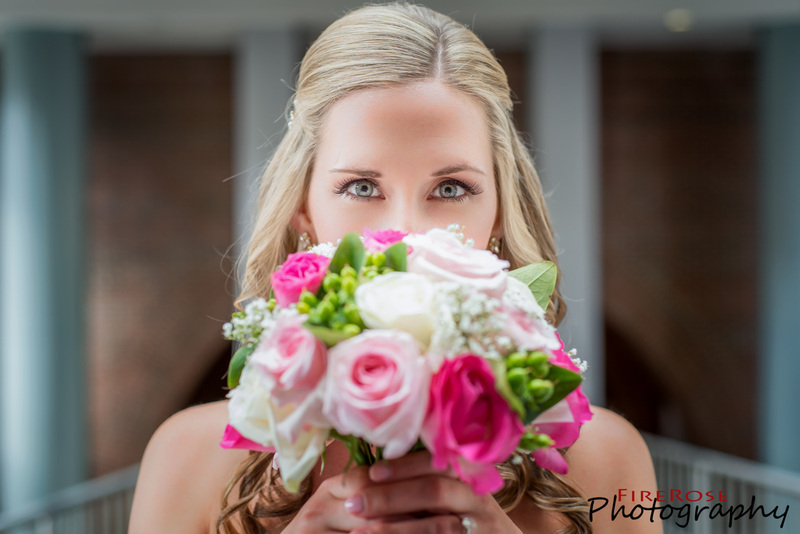 Choose FireRose Photography... you won't be disappointed and you will Love Cassie!" Ray Price VIP Bike Fest 2015 "Customers love her ! She's very professional, easy to talk to , and fun loving . She not only cares that the pictures look good but she also knows what she is doing with lighting and angles . Definitely an important role for next years ray price Bikefest vip 2016 !" September 2015: Caitie & Ivey "Cassie!!! Is truly amazing and so talented!!! Would recommend her to anyone!!! And yet so reasonable with her prices!!!" June 2015: Janee & Julian "Cassie was WONDERFUL she captured every moment and we didn't even notice her. She also was helpful getting us wine while we was cutting the cake and she's the photographer! She's a sweetheart"
April 2015: Cassi & Travis "Cassie was AWESOME! She took our engagement and wedding photos and was absolutely a pleasure to work with. 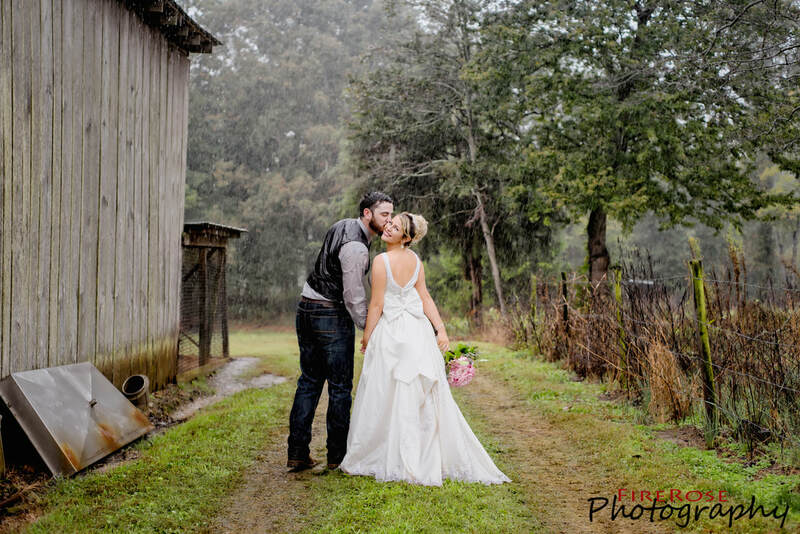 Not only did our pictures turn out great, but she quickly adjusted to the rainy weather we had on the day of the wedding. She scouted out all the locations beforehand and had a plan, and it definitely showed. 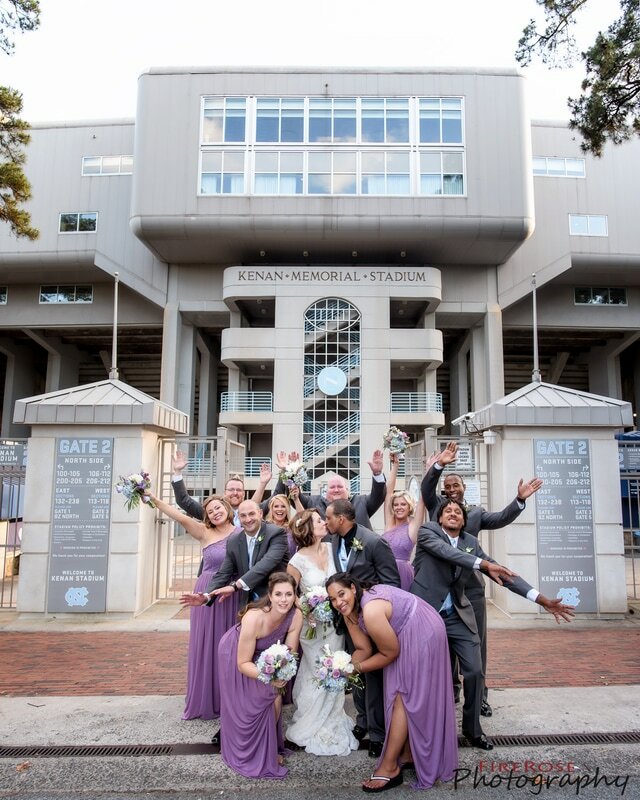 Thank you Cassie for capturing our special day!" 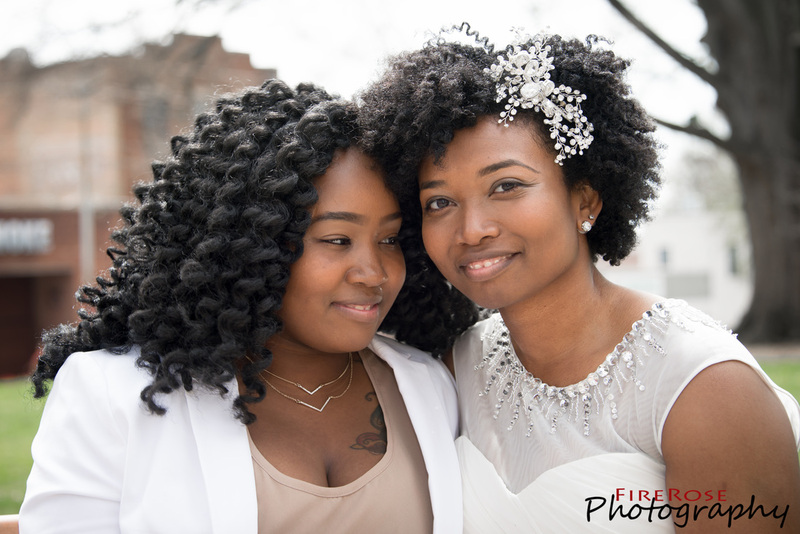 March 2015: Kanesha & Sharron "Cassie was beyond amazing. She was very down to earth and extremely professional and full of ideas. We appreciate you being there to capture these special moments."